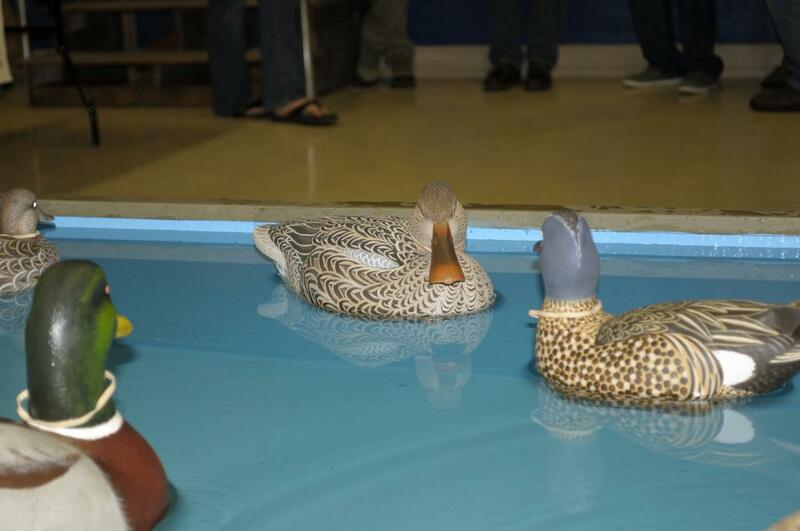 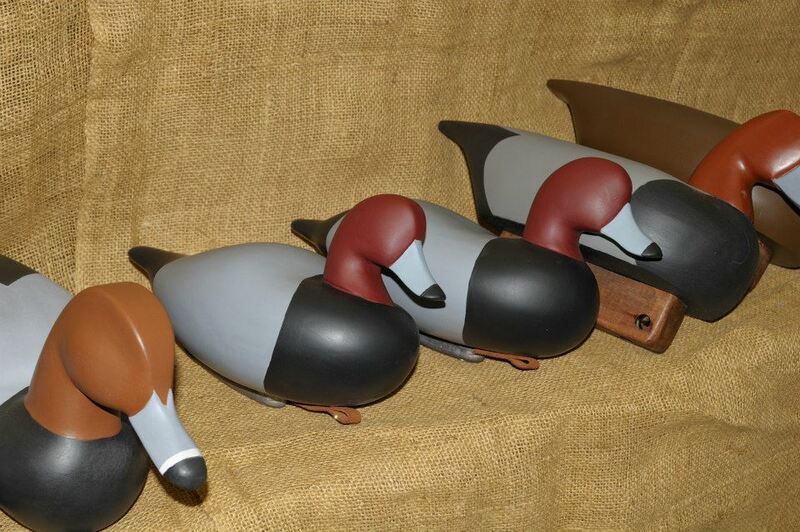 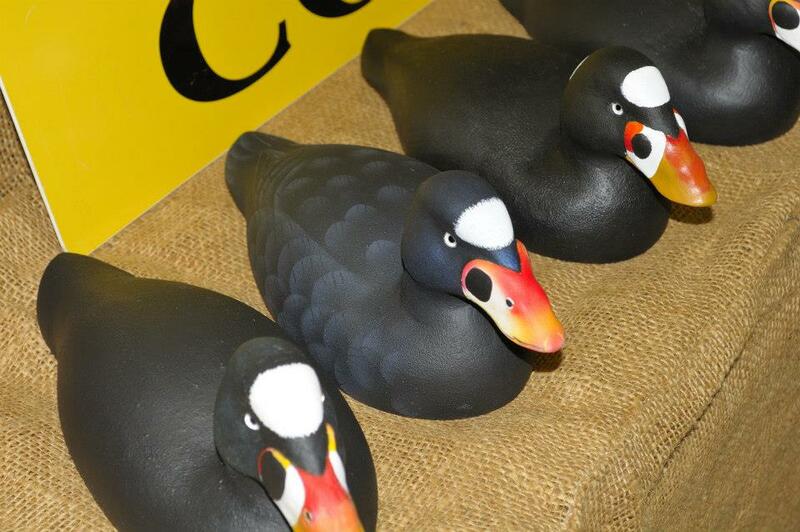 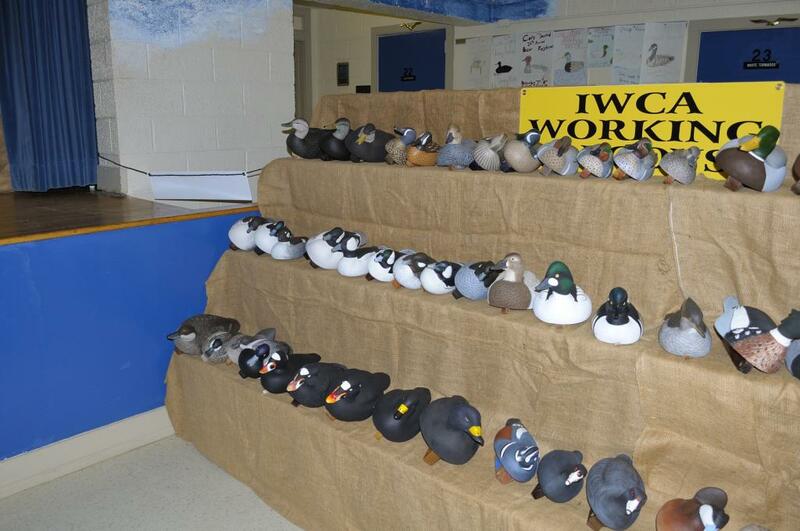 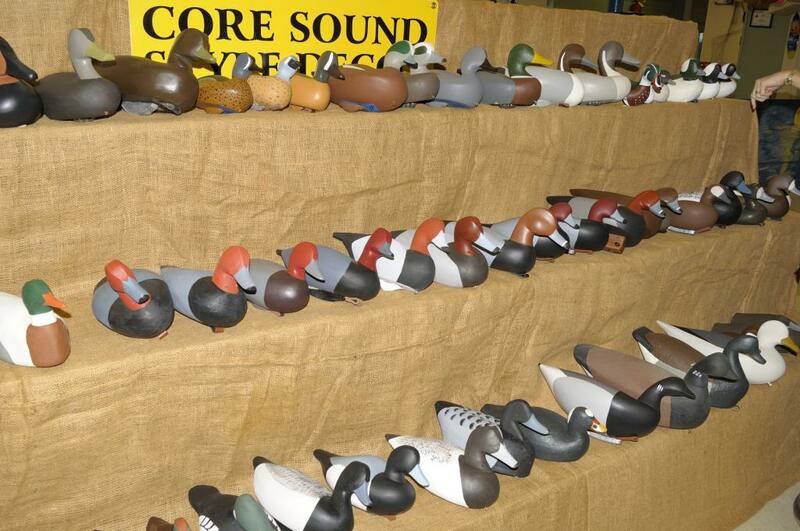 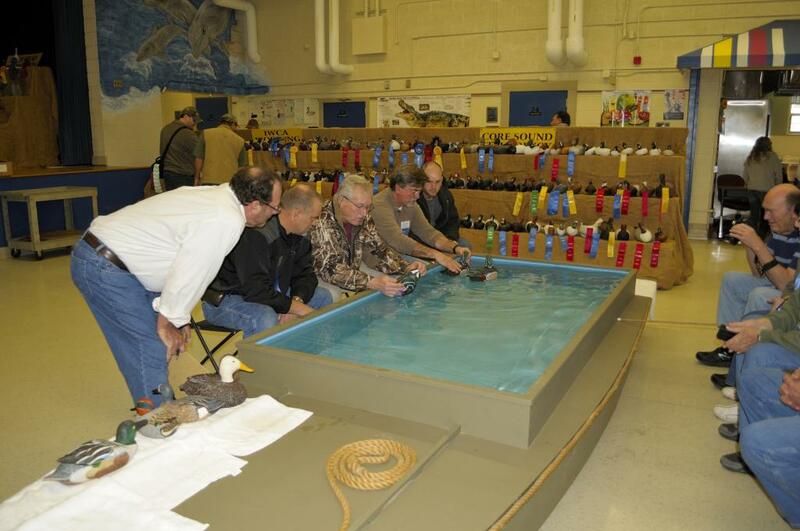 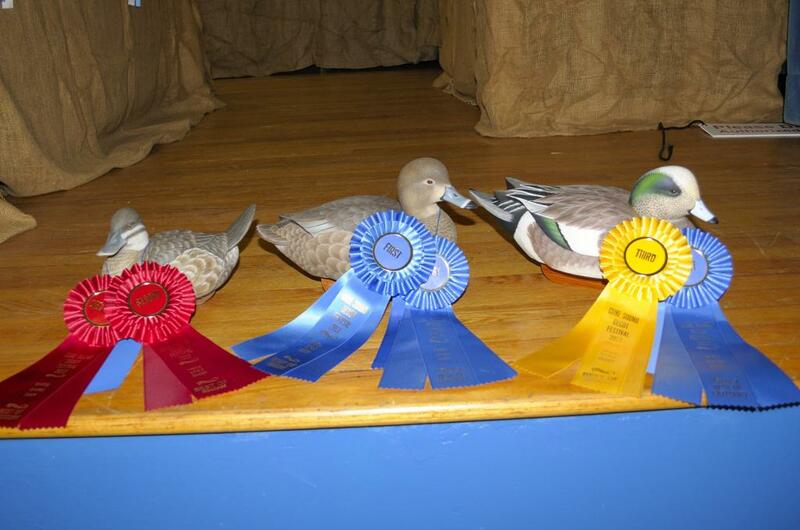 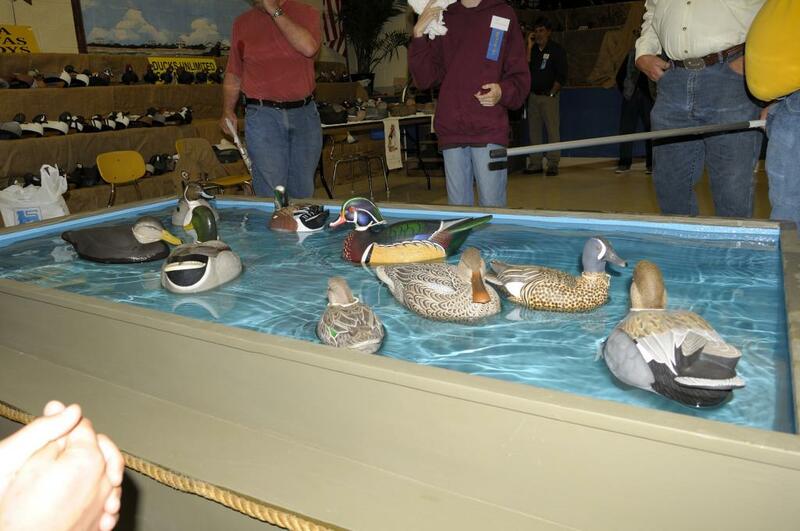 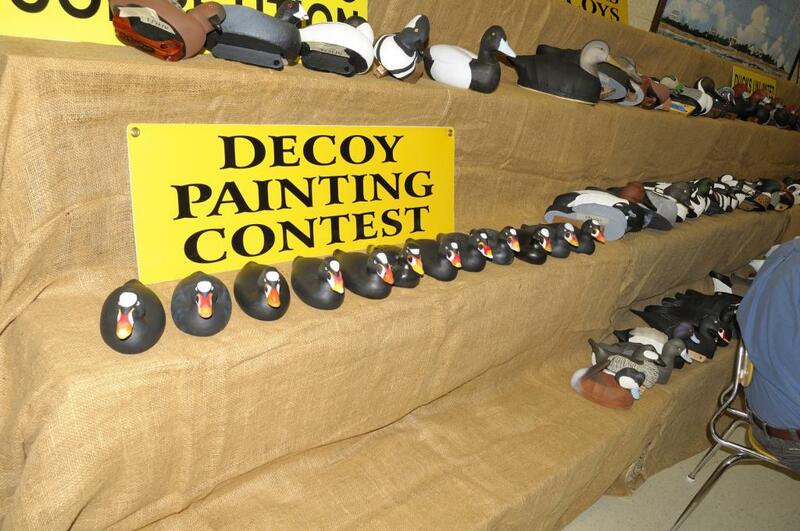 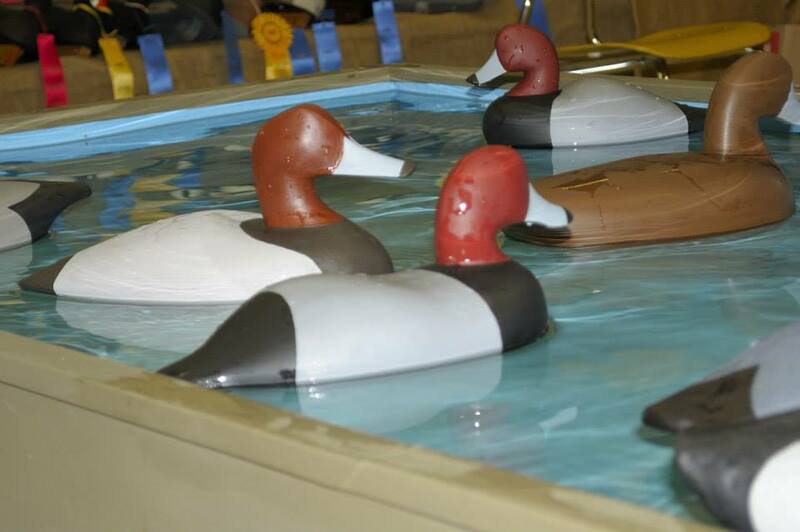 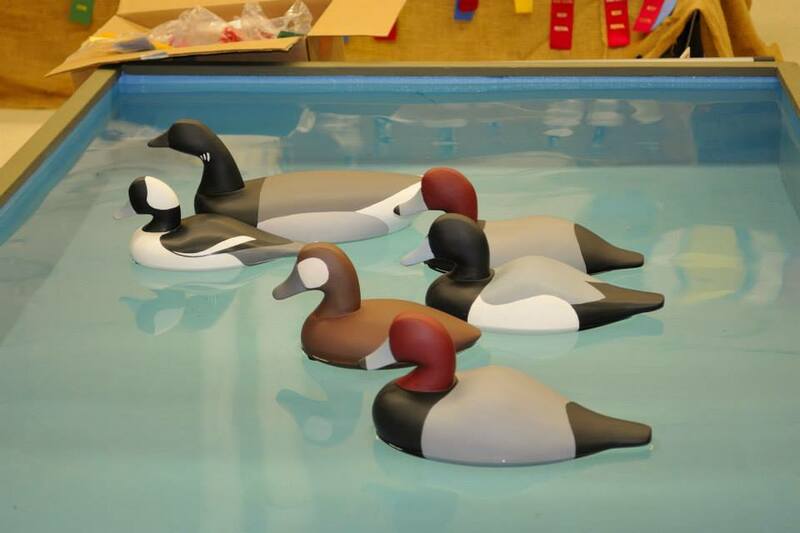 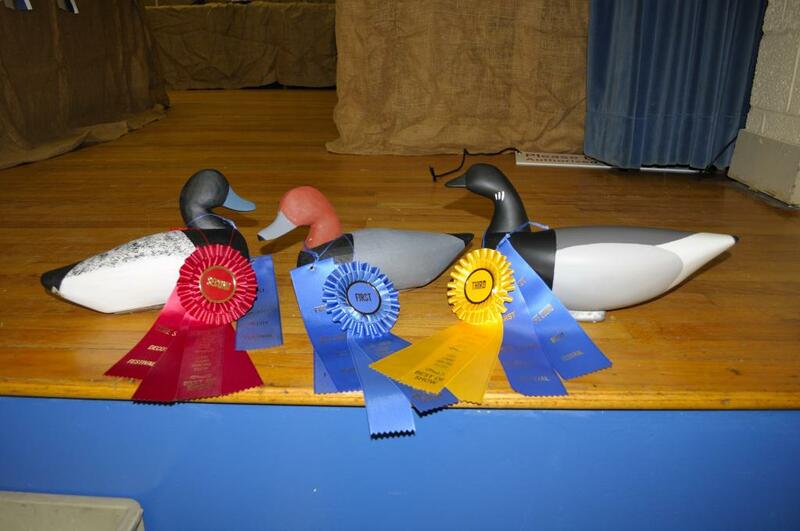 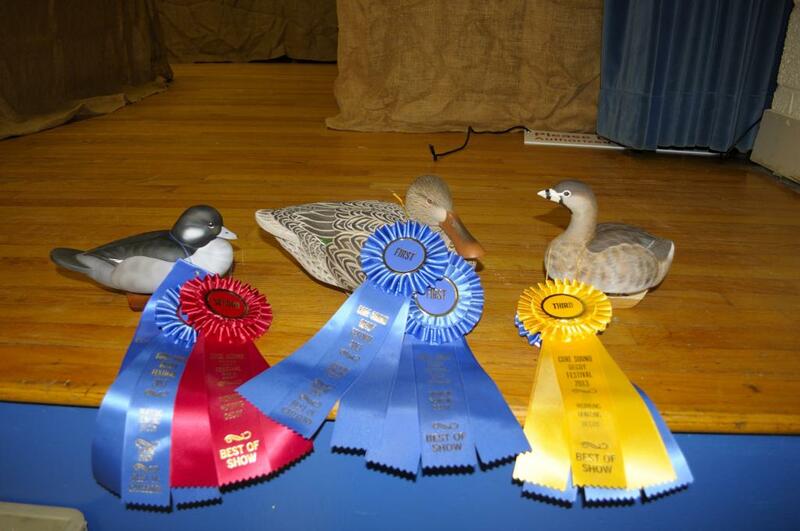 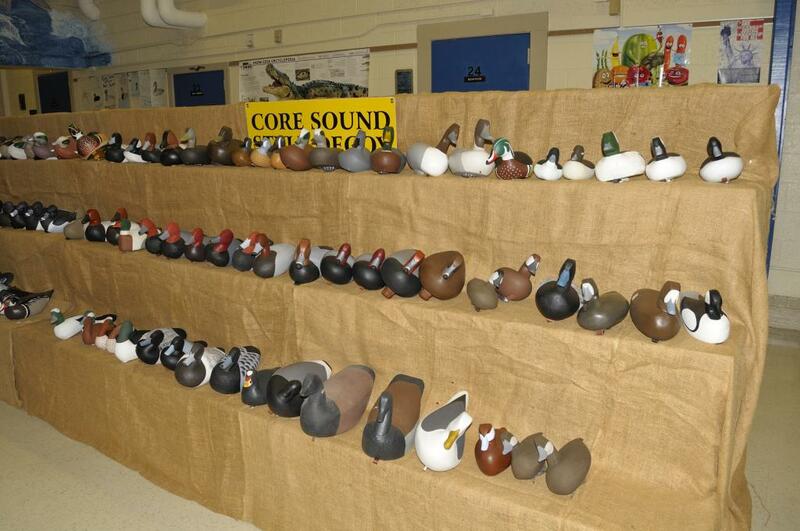 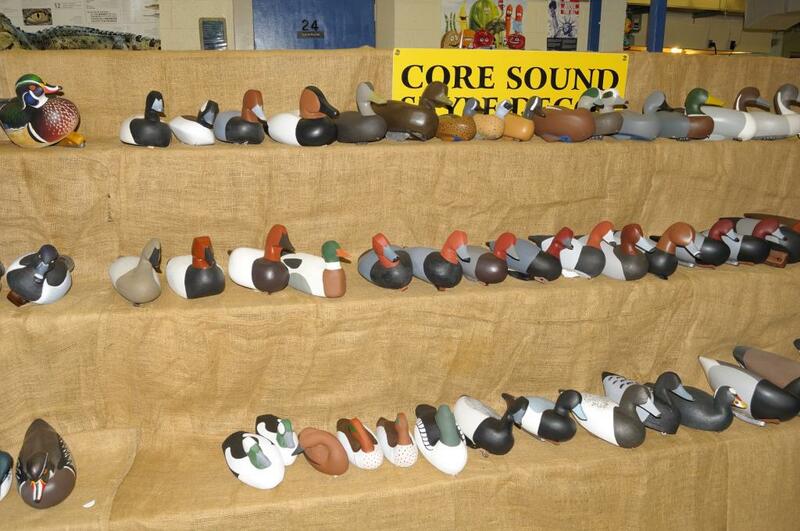 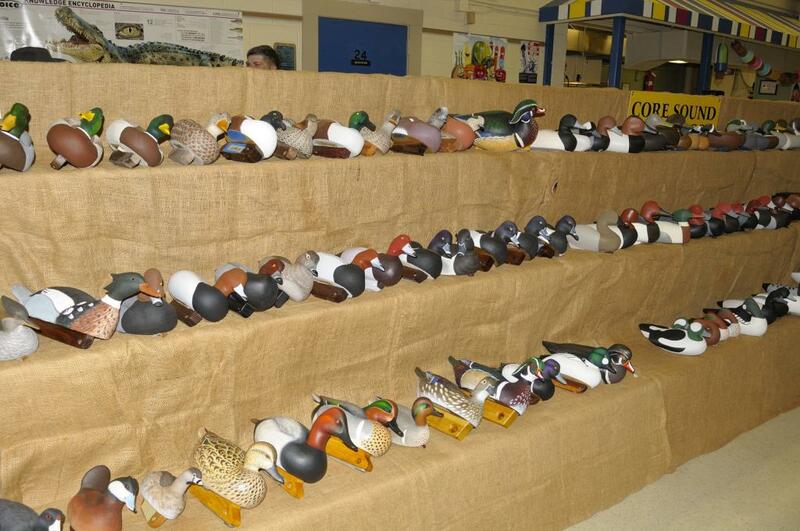 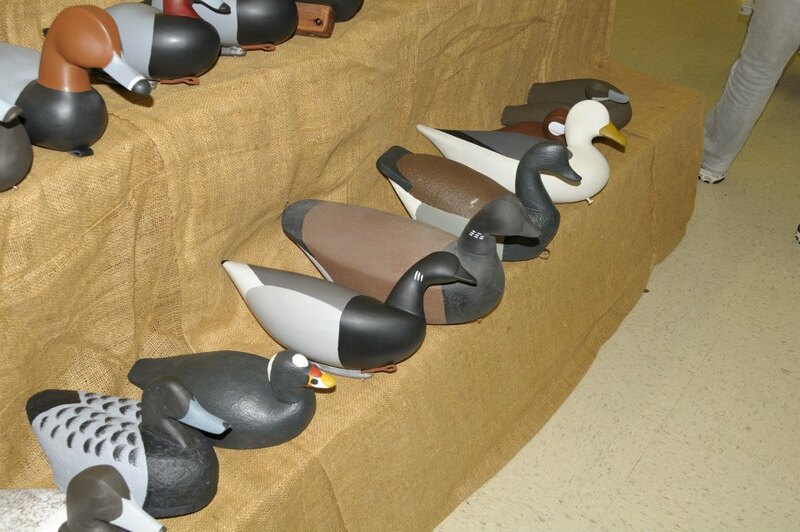 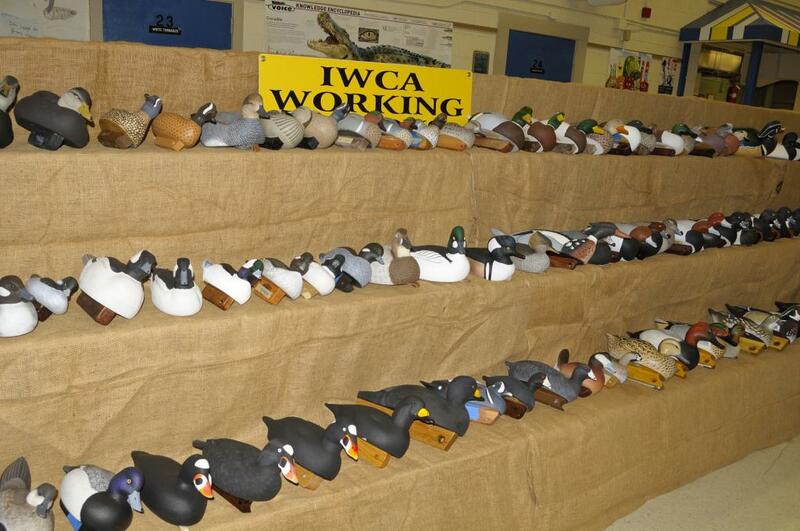 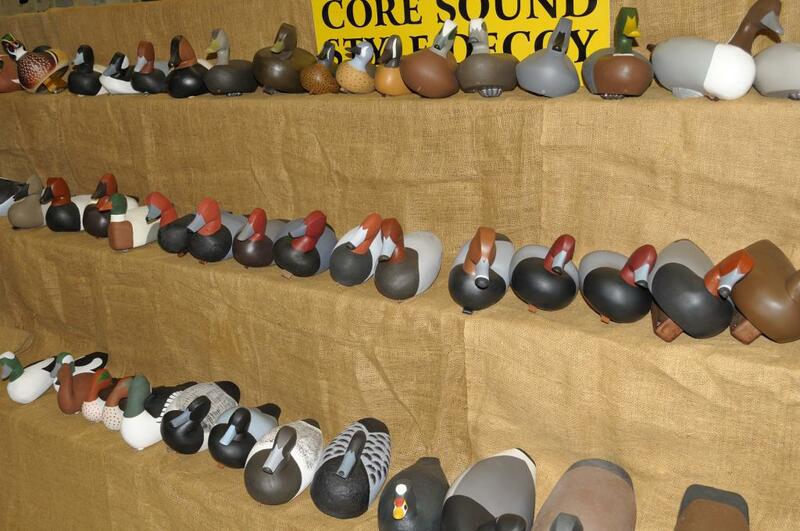 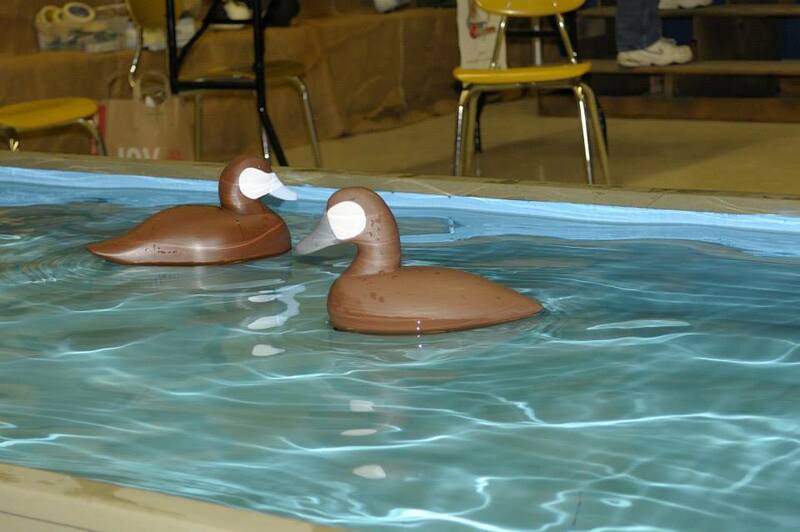 Special thanks to James Lewis for letting us post the pictures from the Core Sound Decoy Festival , it looks like they had a great turn out with lots of great carvings and lots of people would like to attend great shows like this but unable to make it. 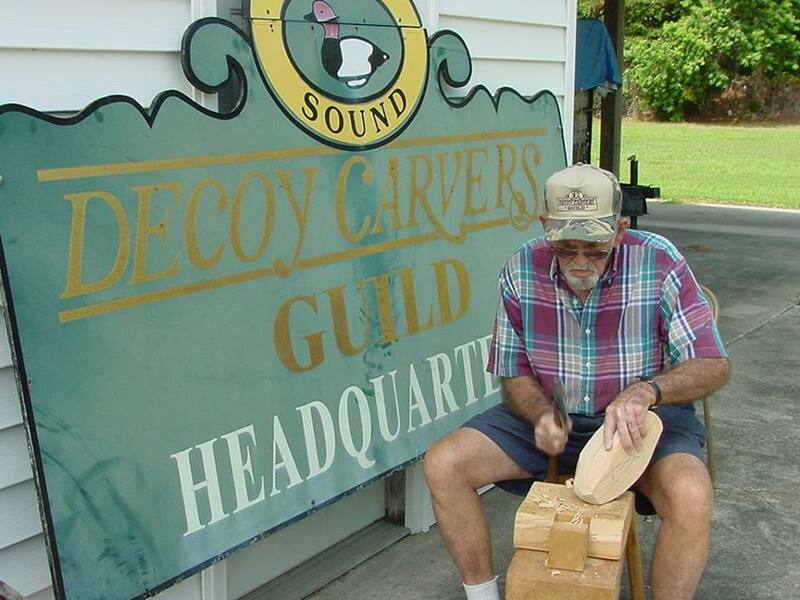 This way we get to see what was entered and give carvers ideas for their next carving. 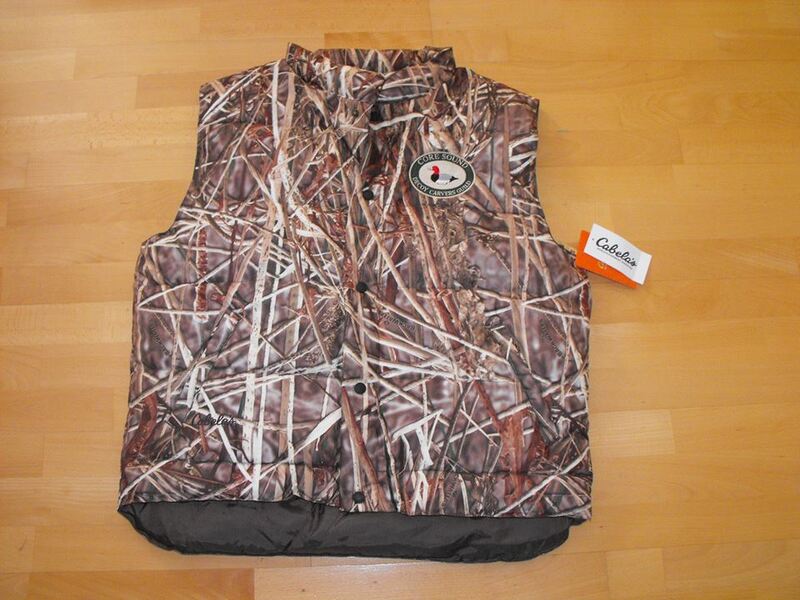 Also available at the monthly Guild meeting Tuesday night...super nice camo vests from Cabela's, complete with the CSDCG logo....only $45 each! 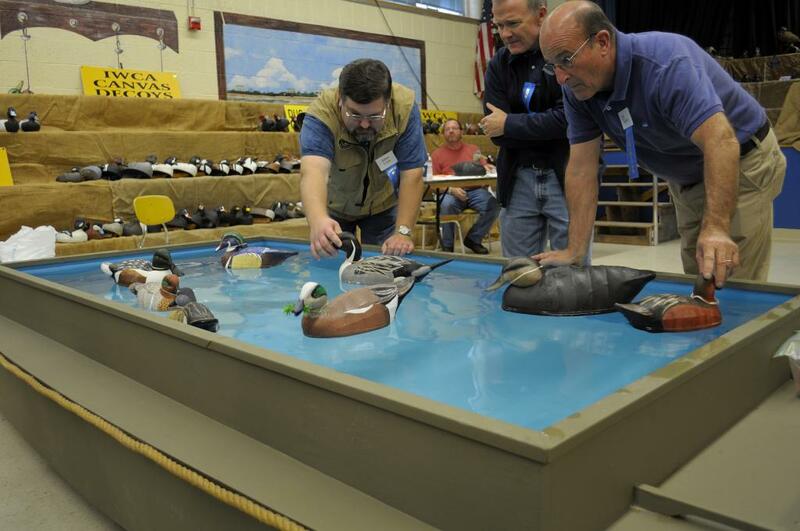 Mark your calendars....monthly Guild meeting Tuesday, November 19th at 7:30 pm!! 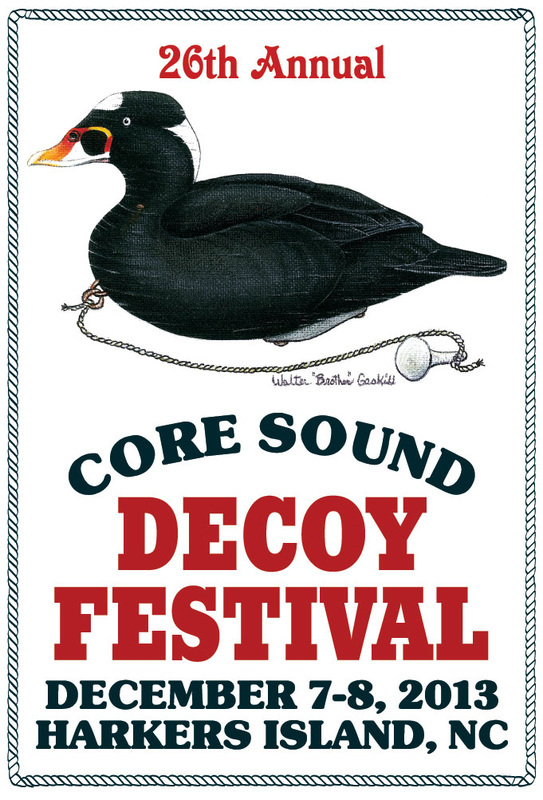 This is the last meeting before the Core Sound Decoy Festival!! 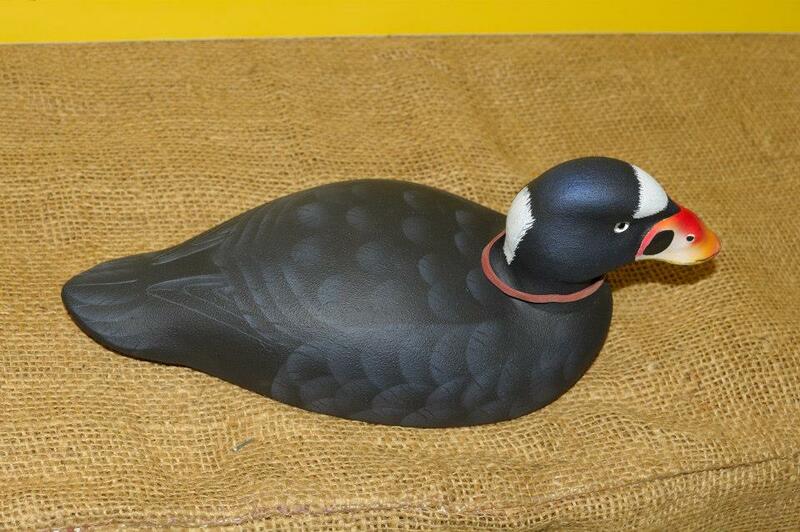 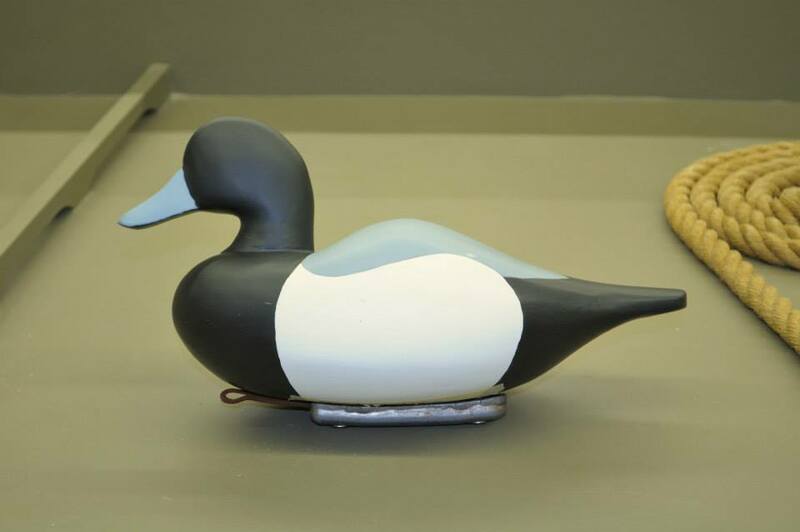 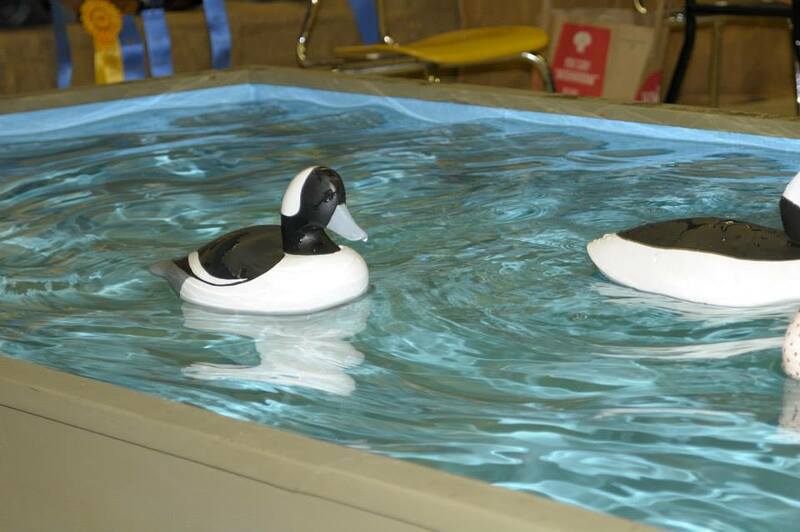 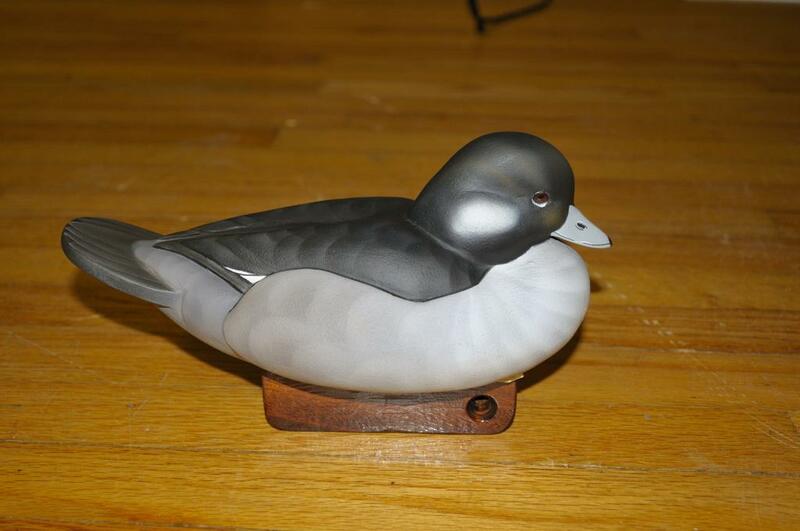 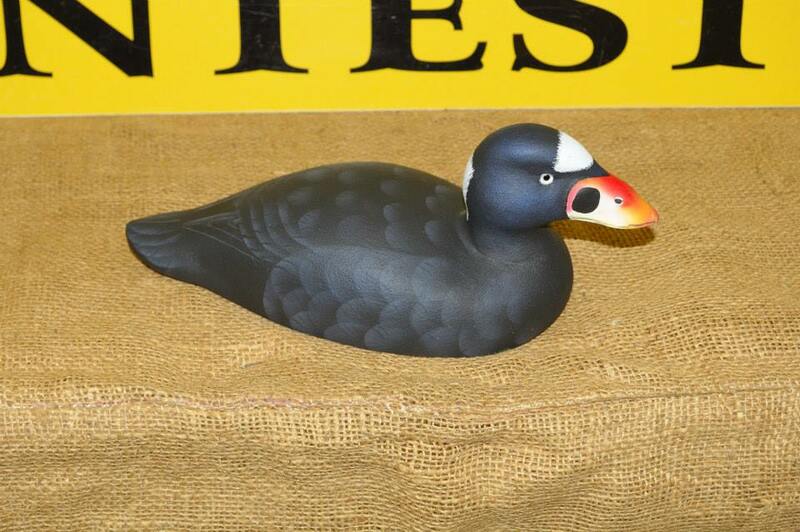 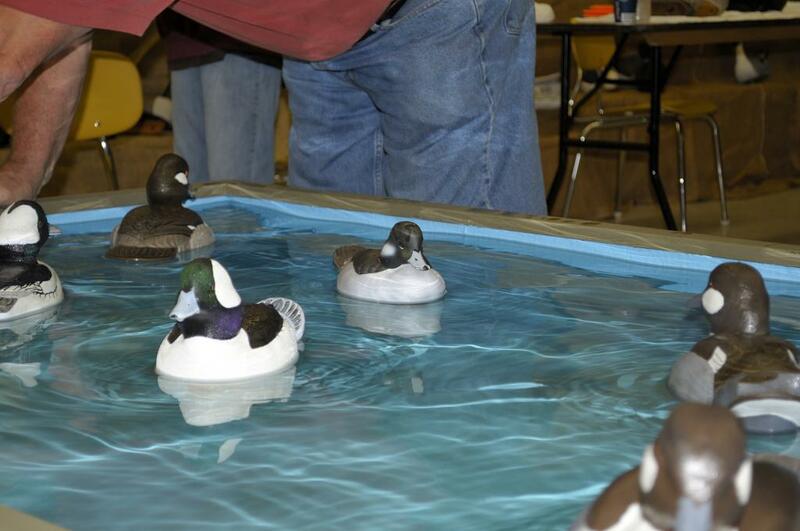 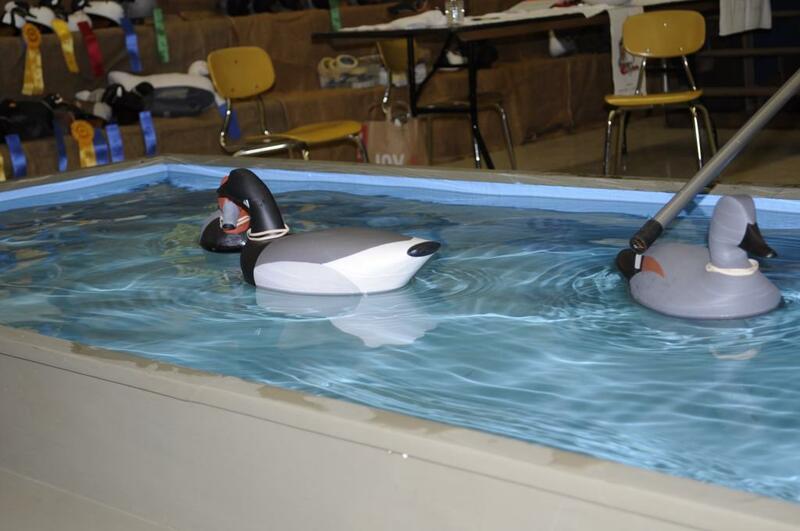 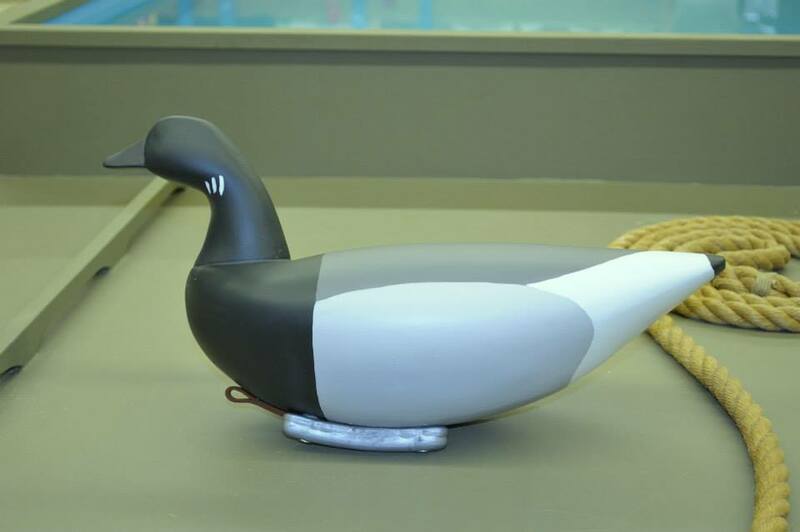 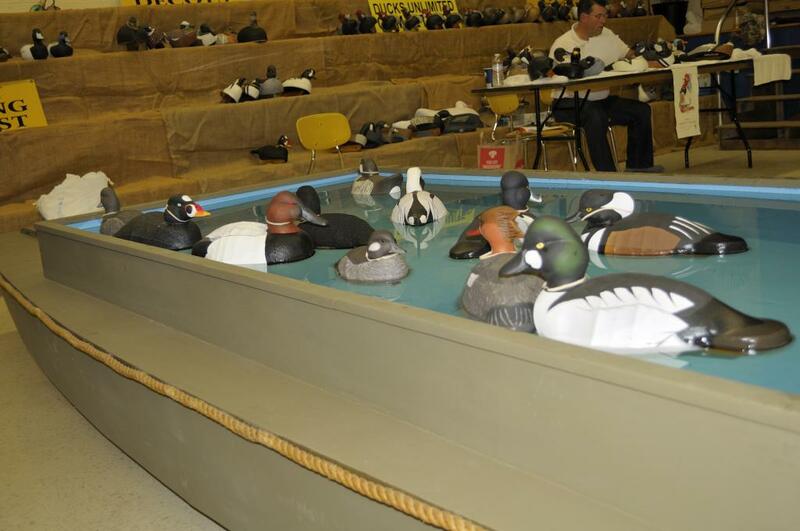 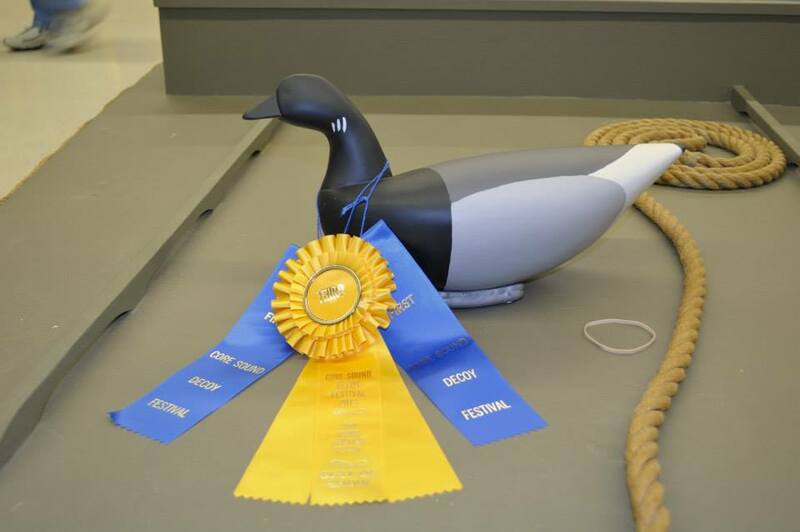 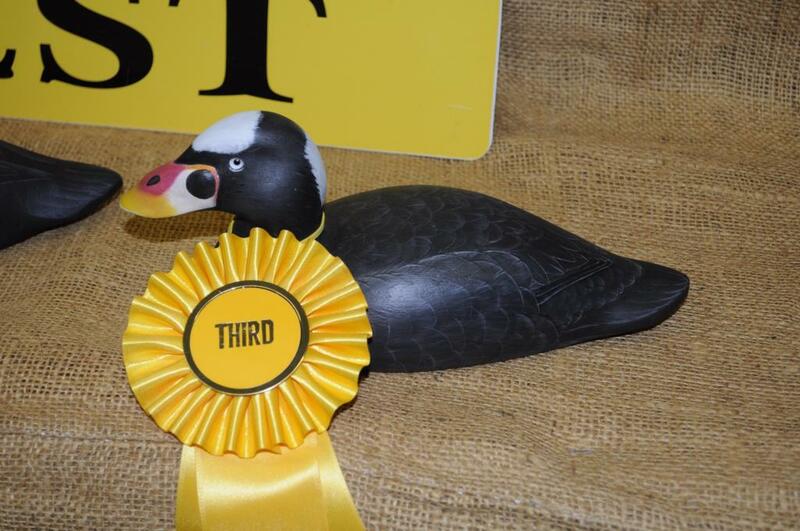 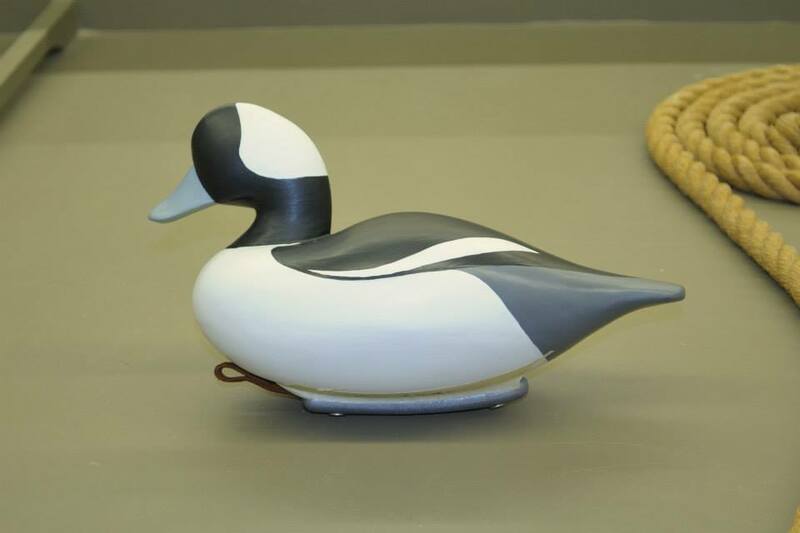 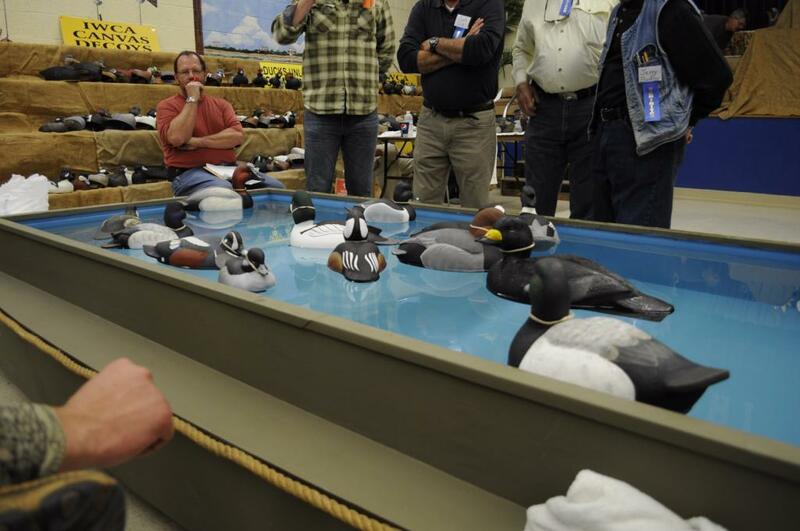 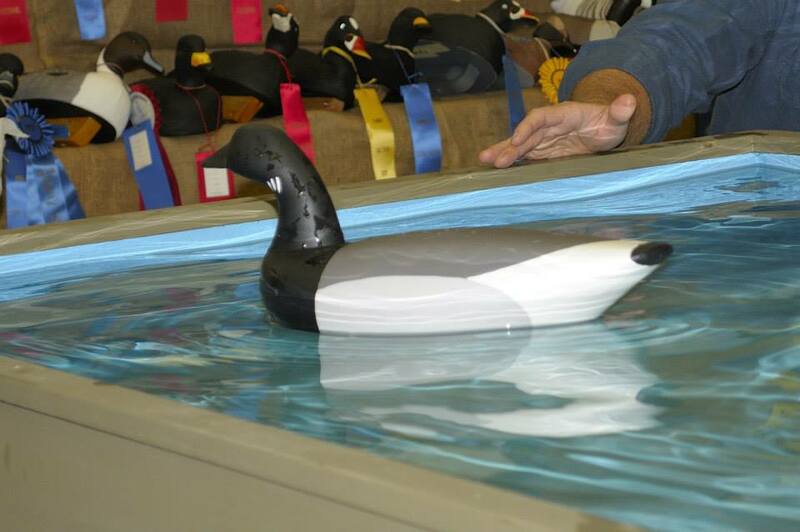 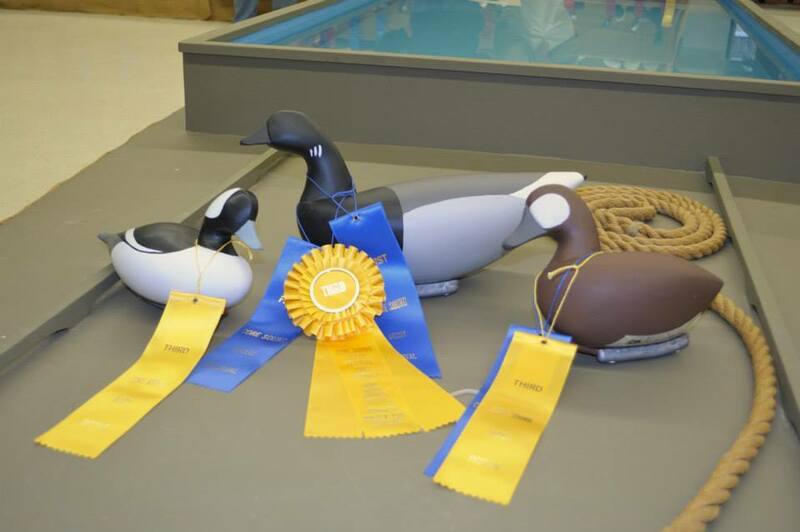 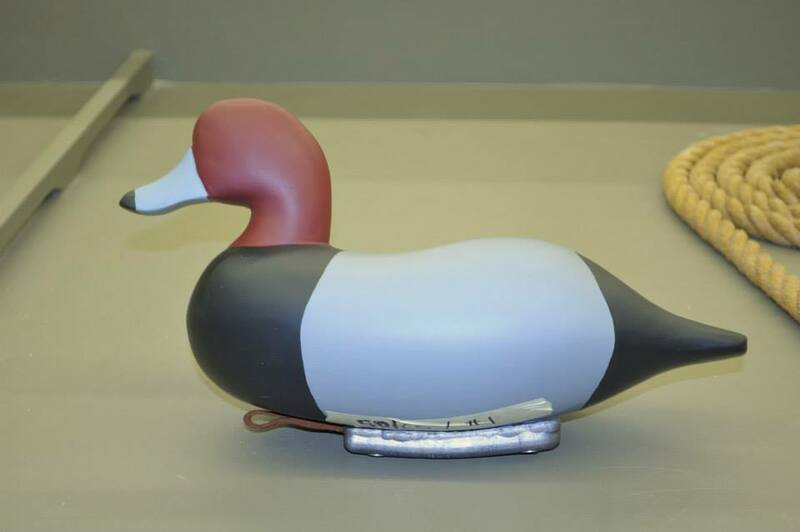 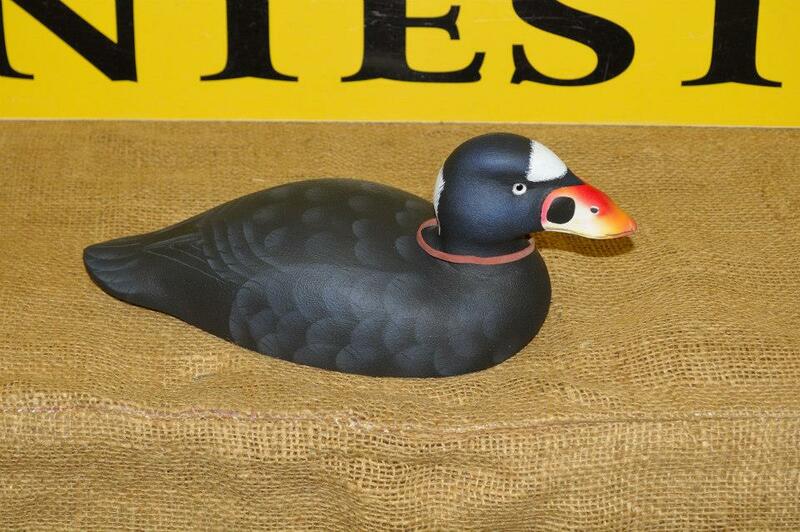 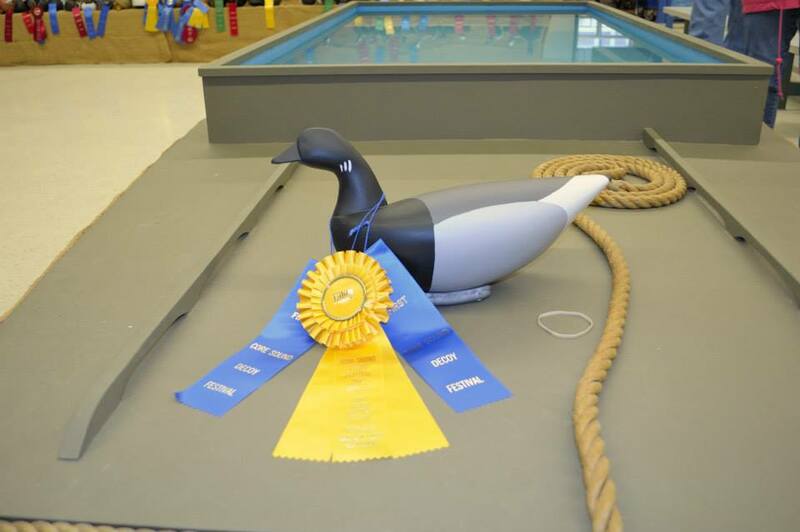 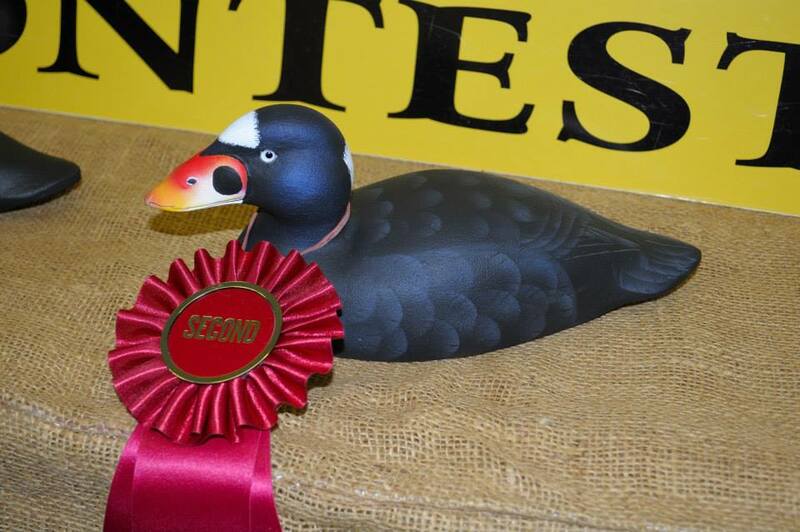 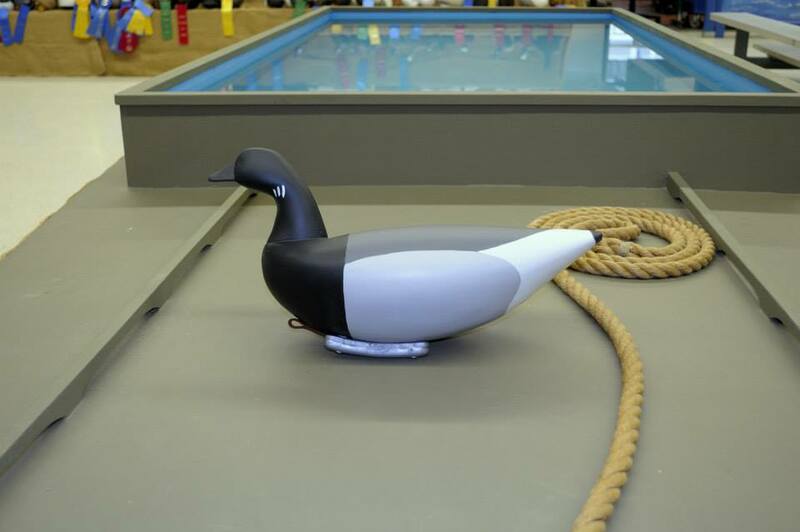 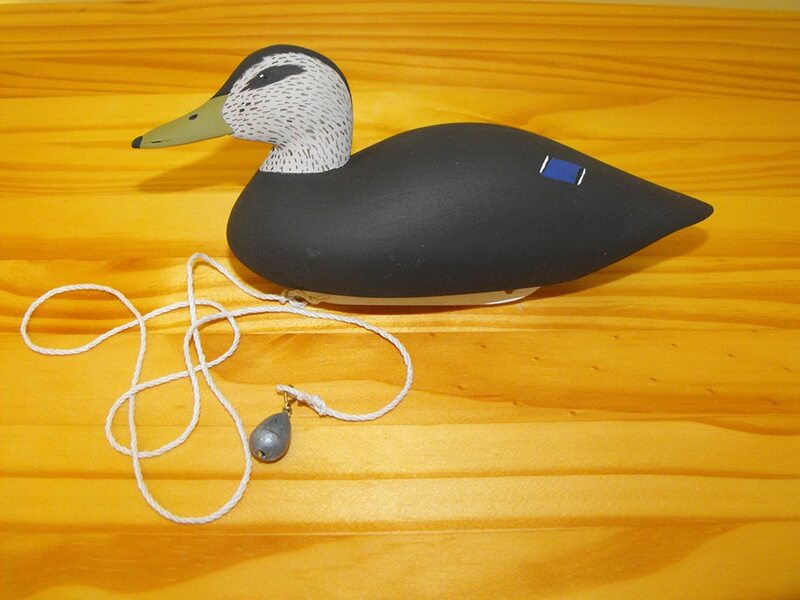 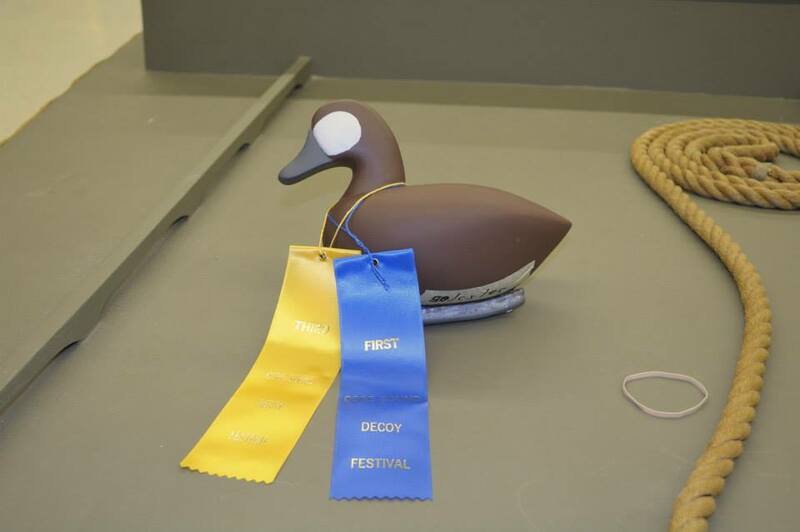 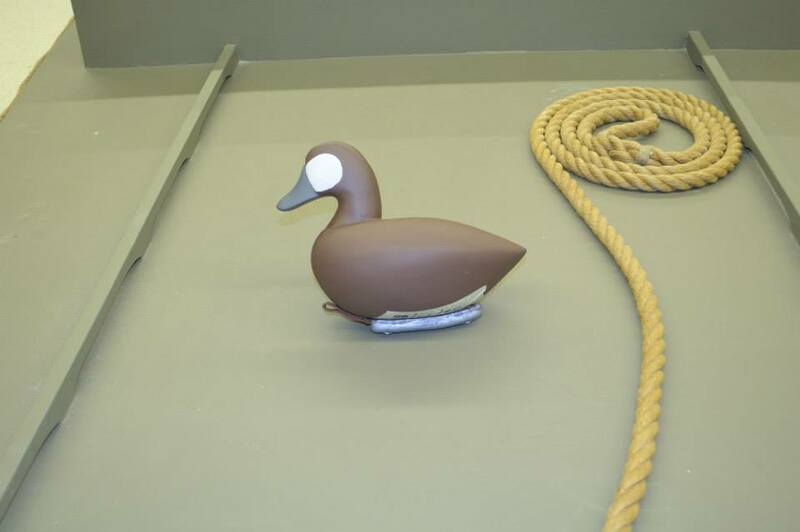 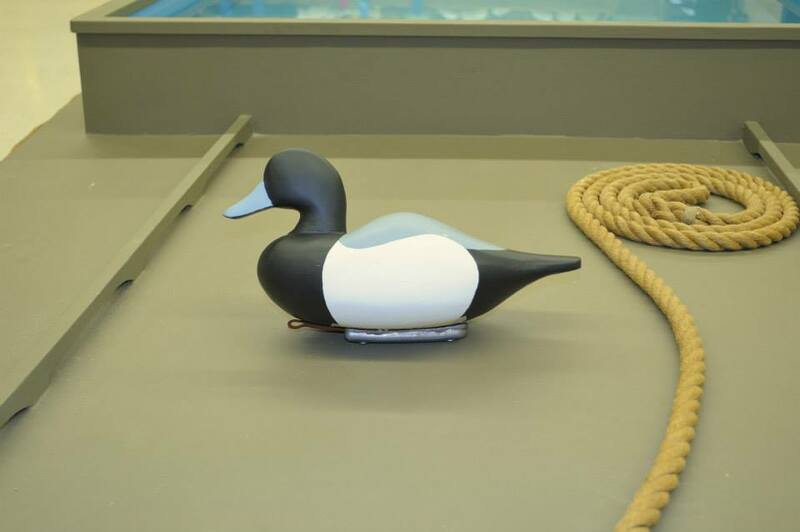 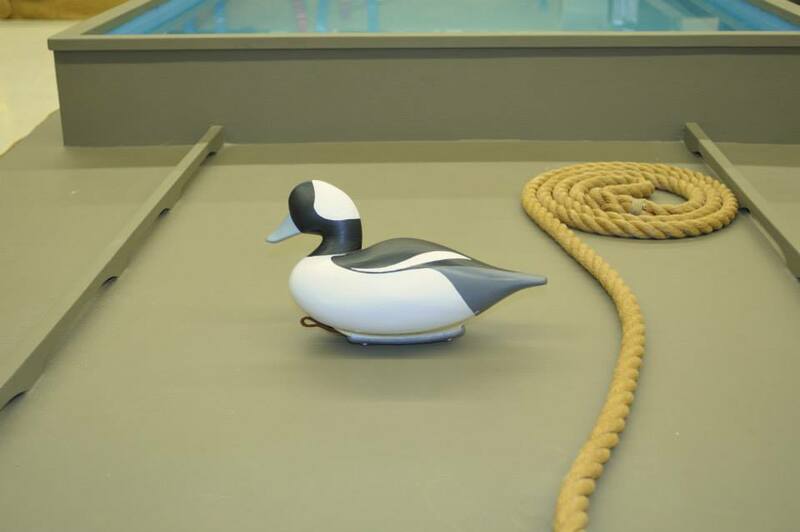 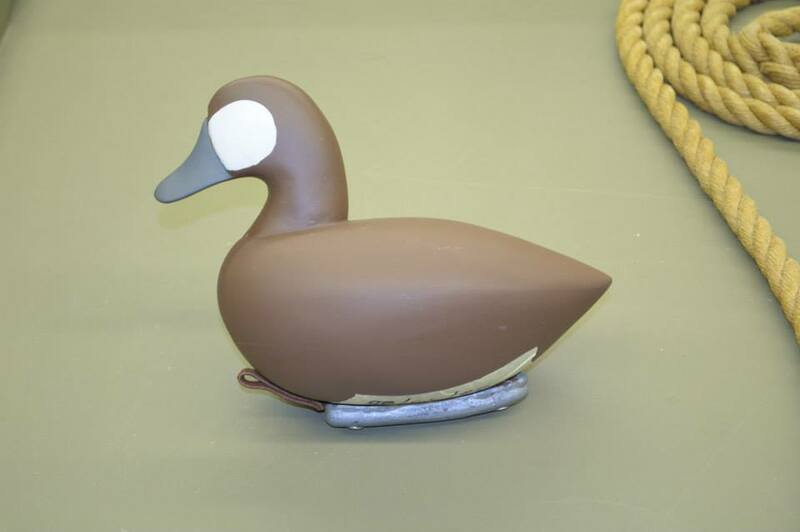 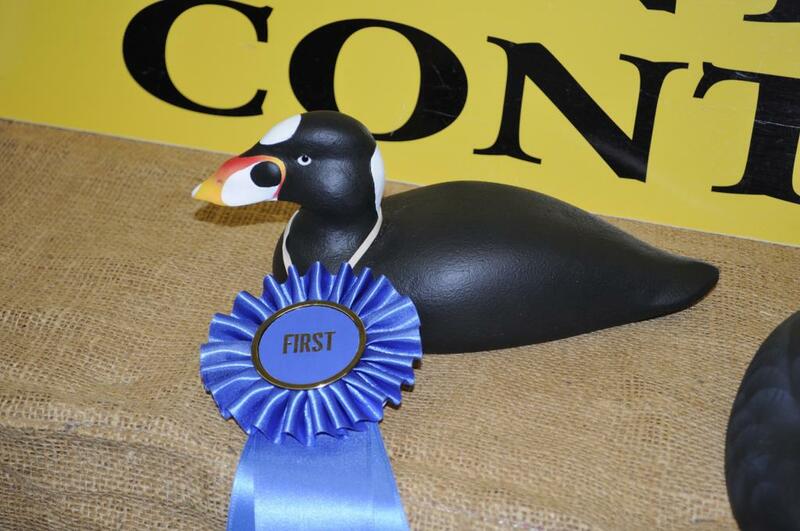 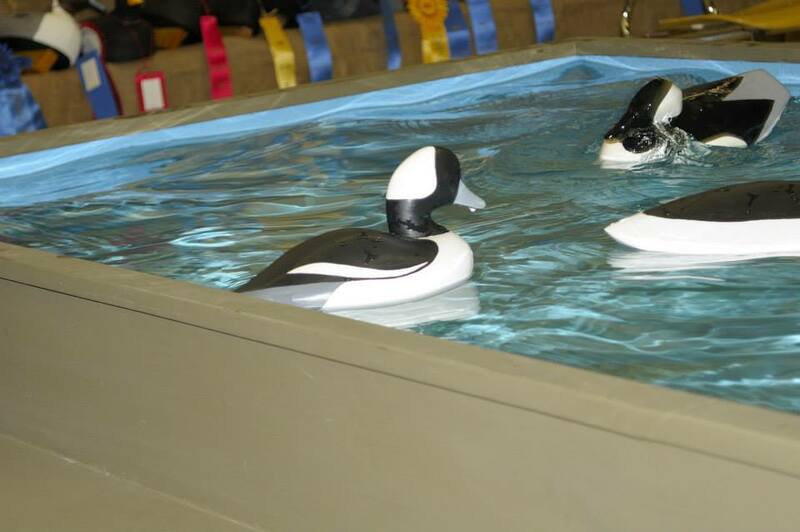 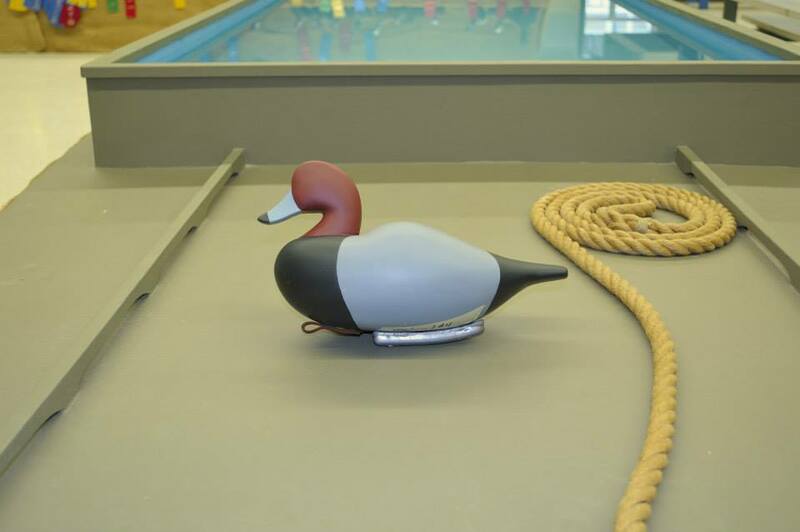 Check out this fantastic miniature black duck decoy made by Wayne Davis - this is the raffle item for the meeting Tuesday night! 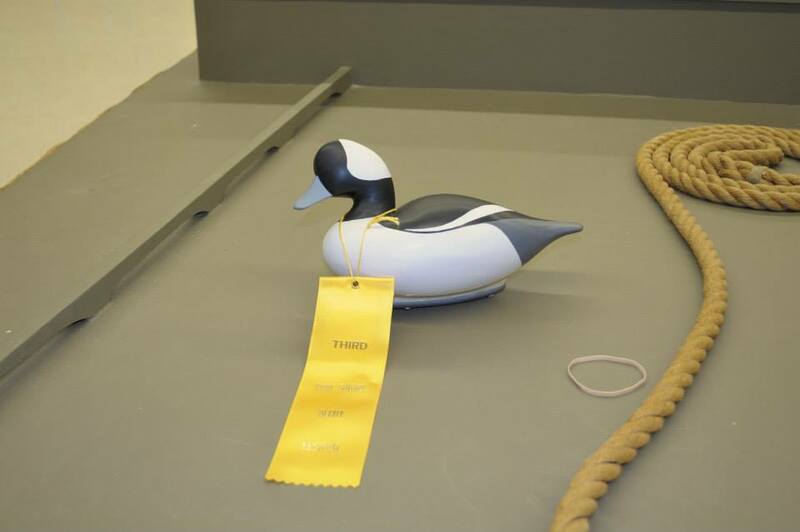 Attend the meeting and you could be the lucky winner! 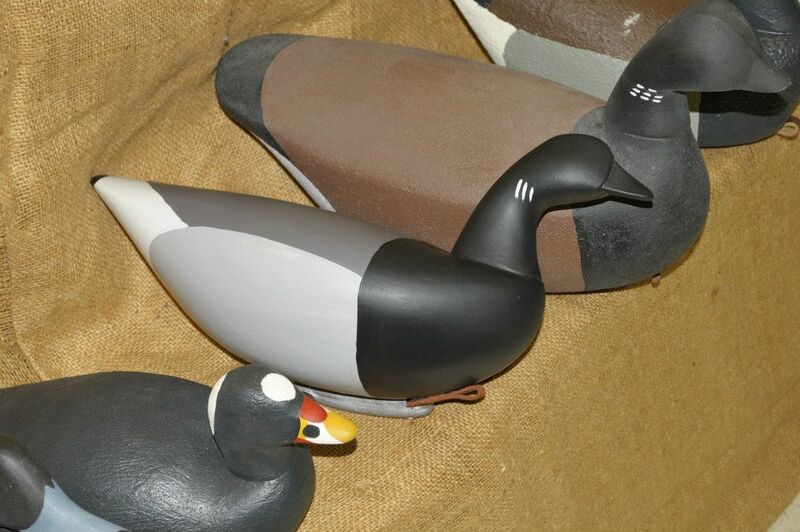 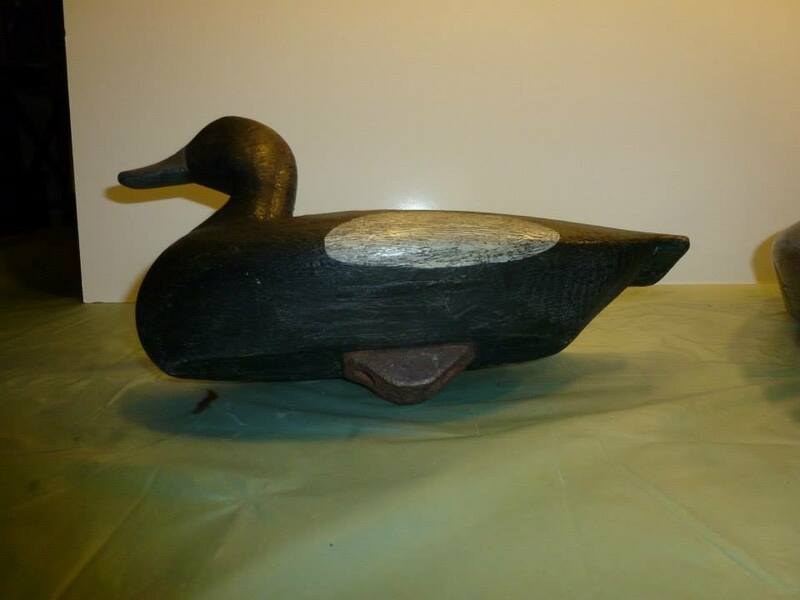 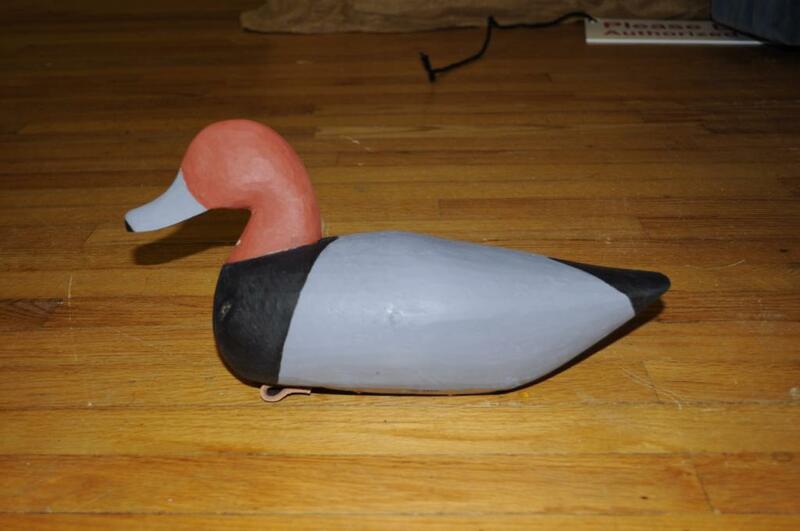 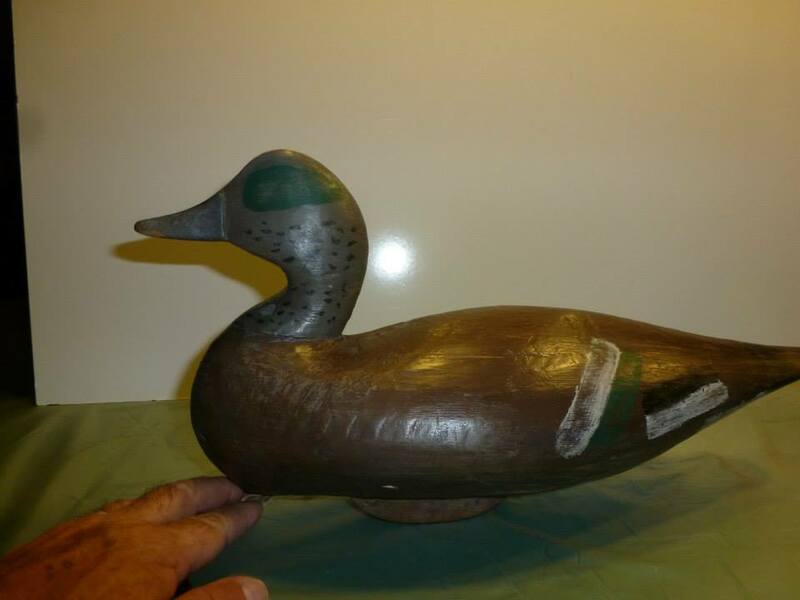 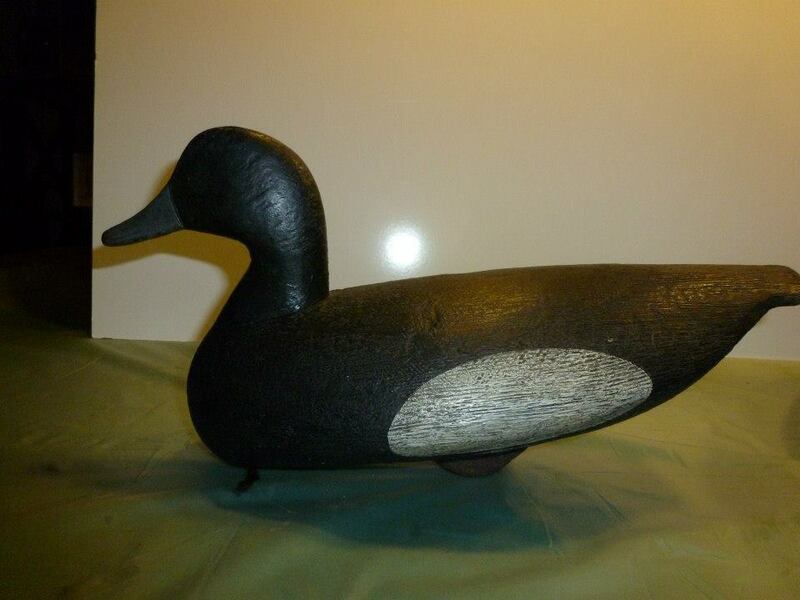 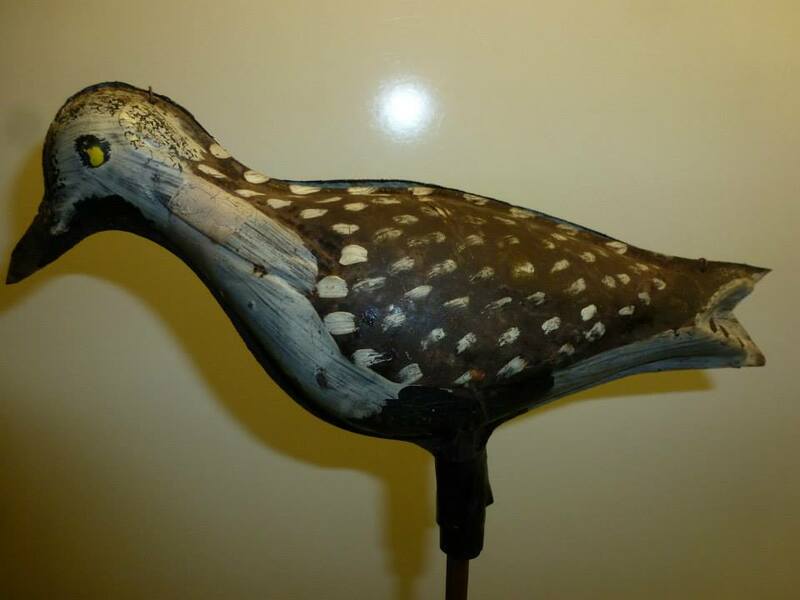 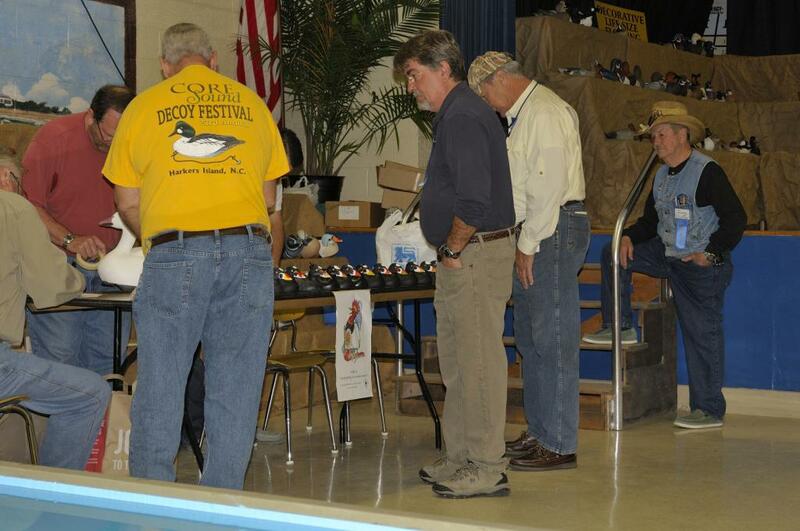 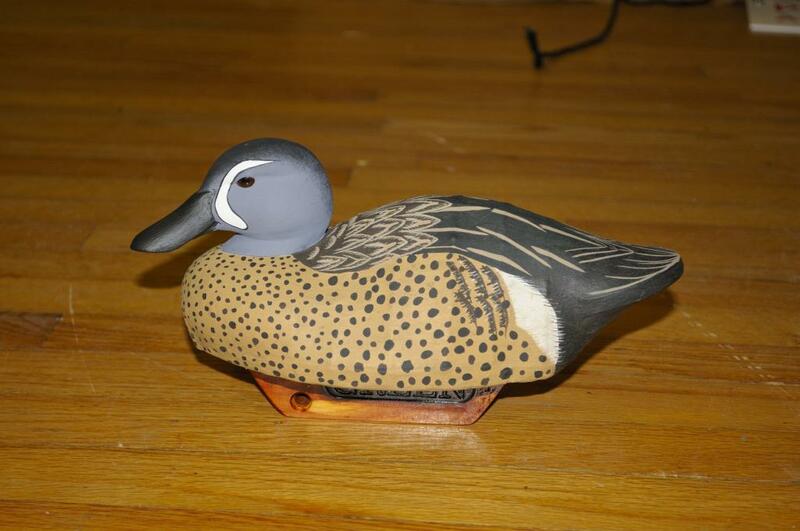 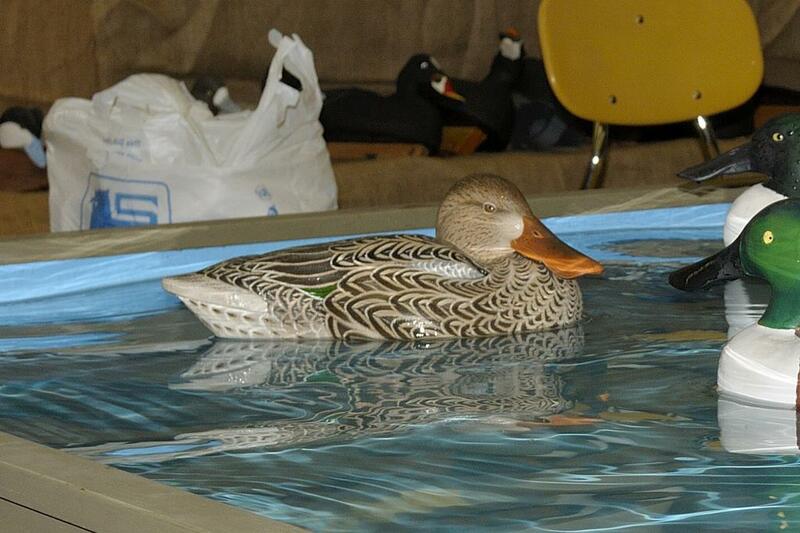 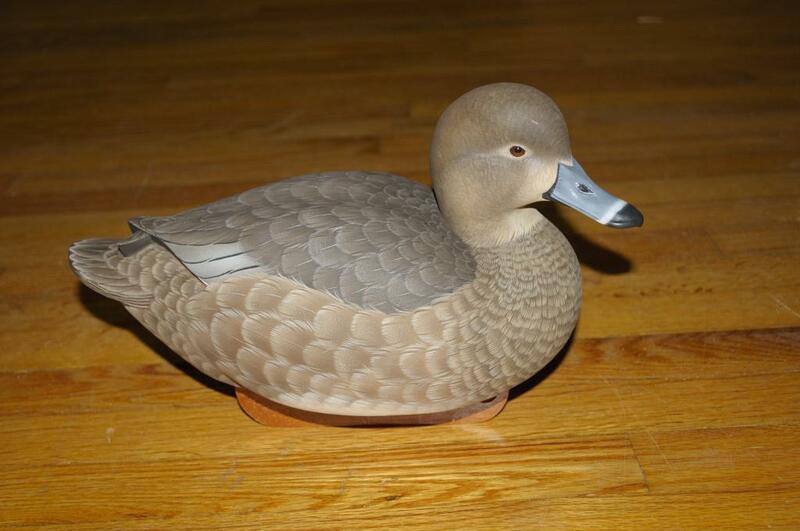 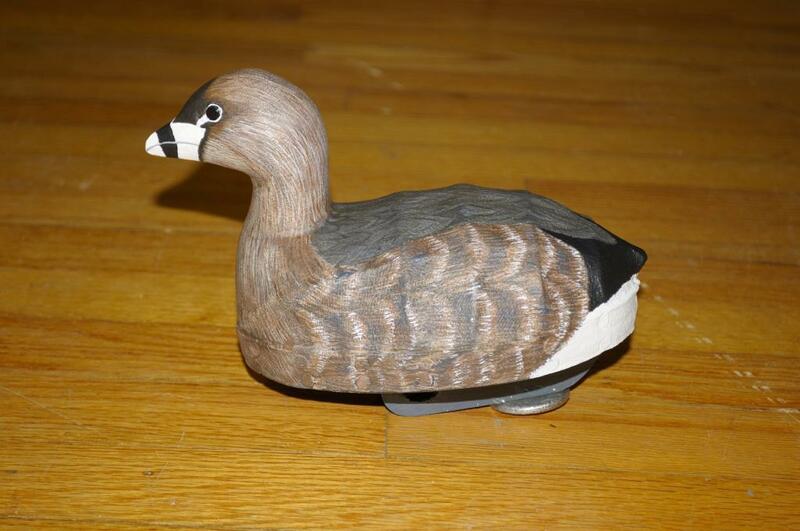 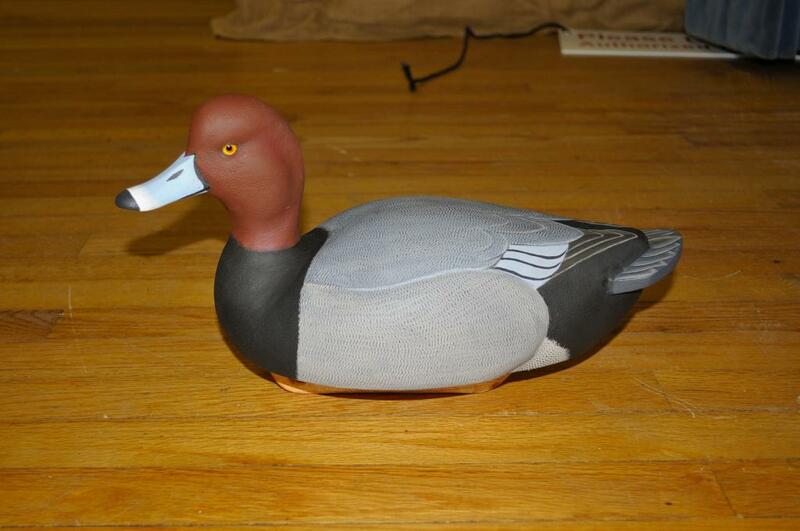 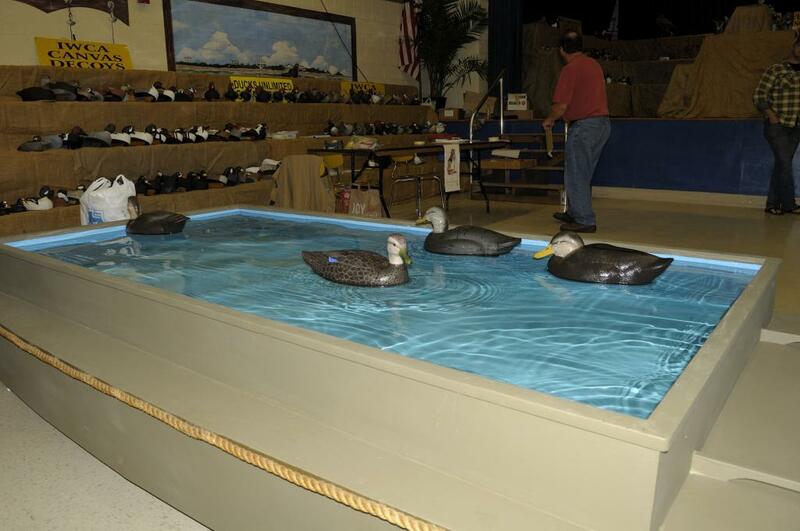 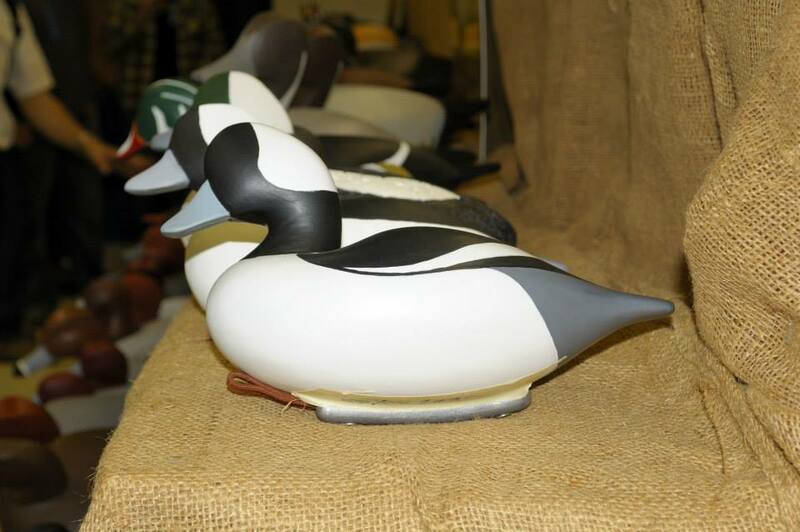 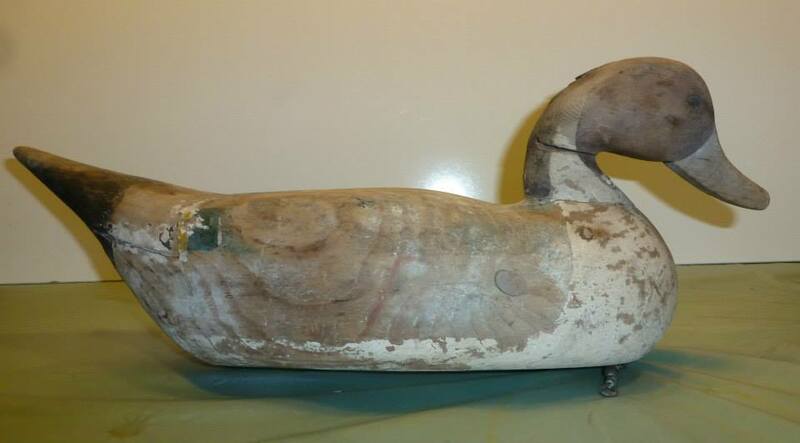 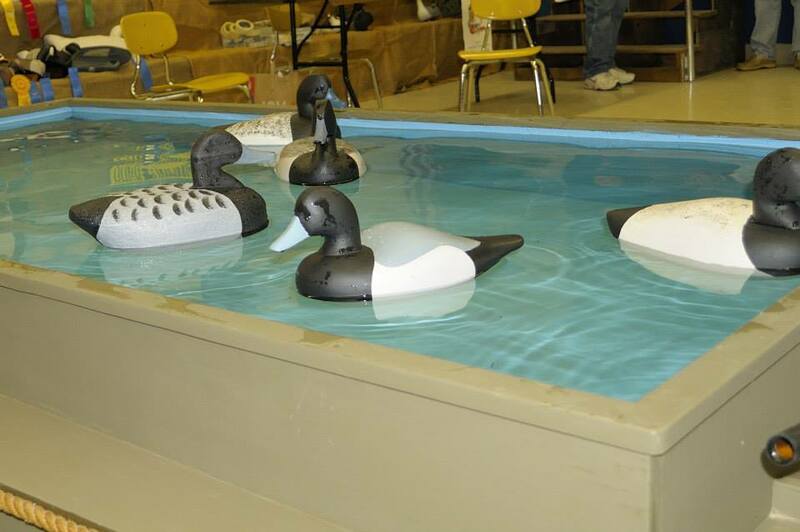 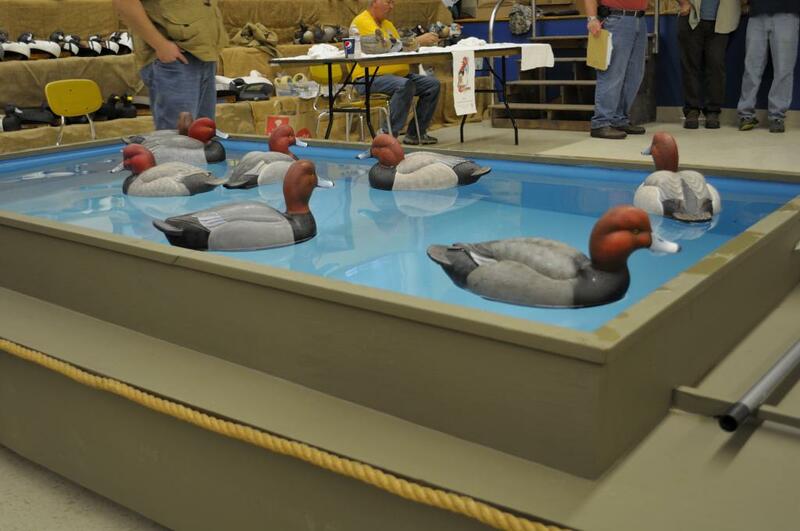 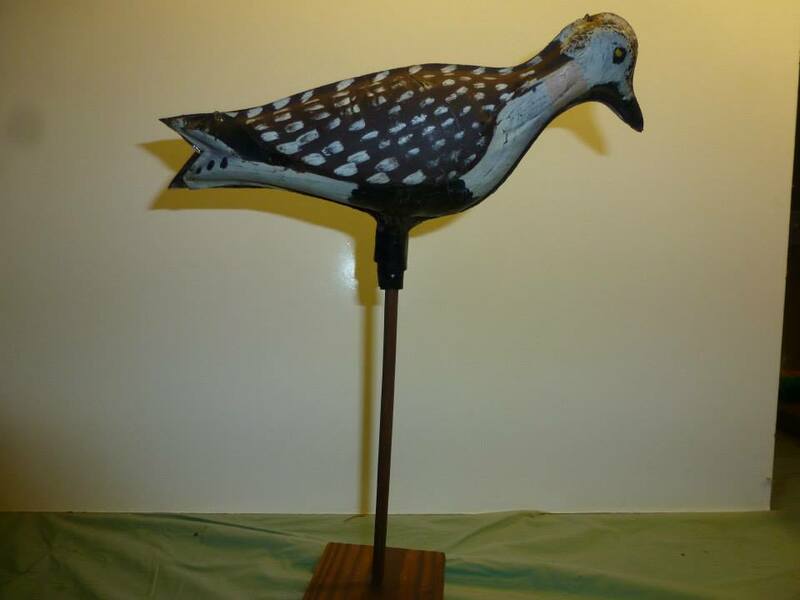 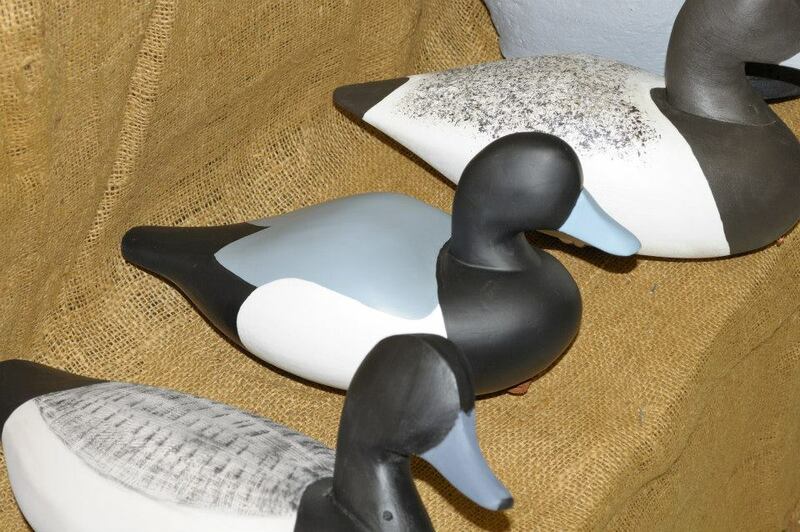 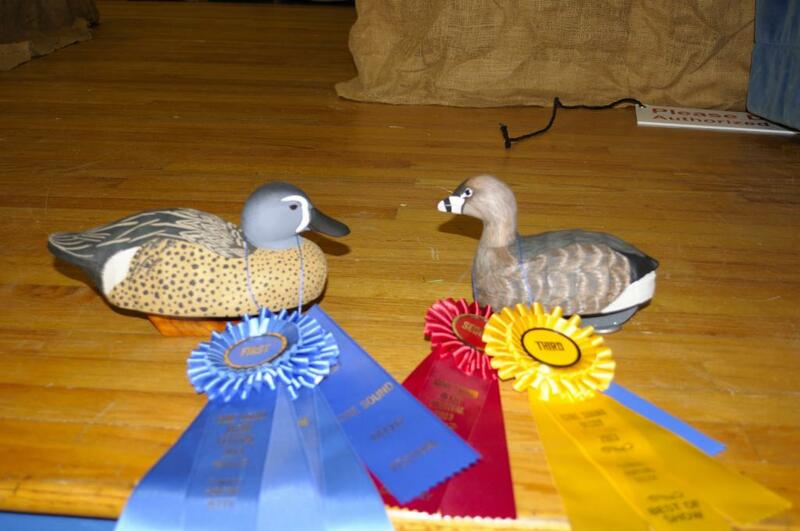 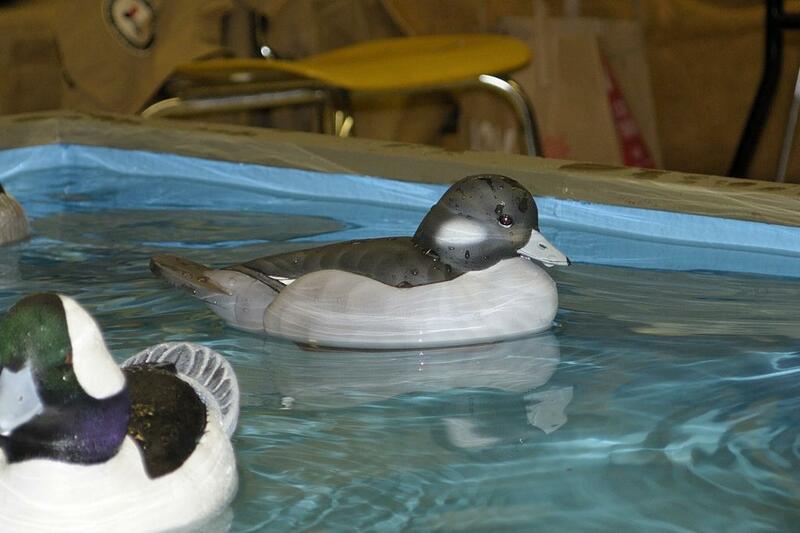 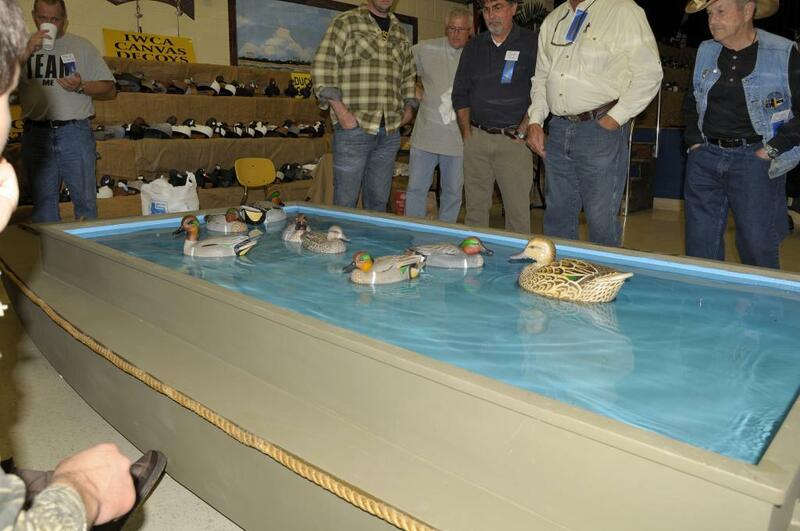 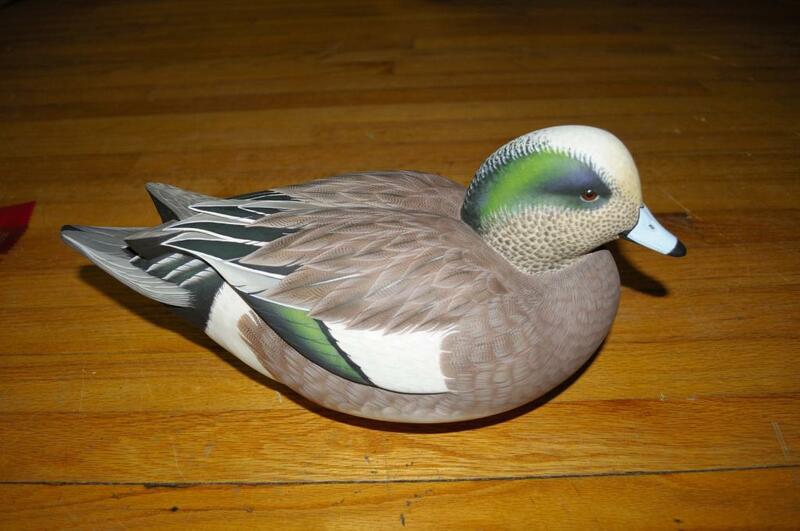 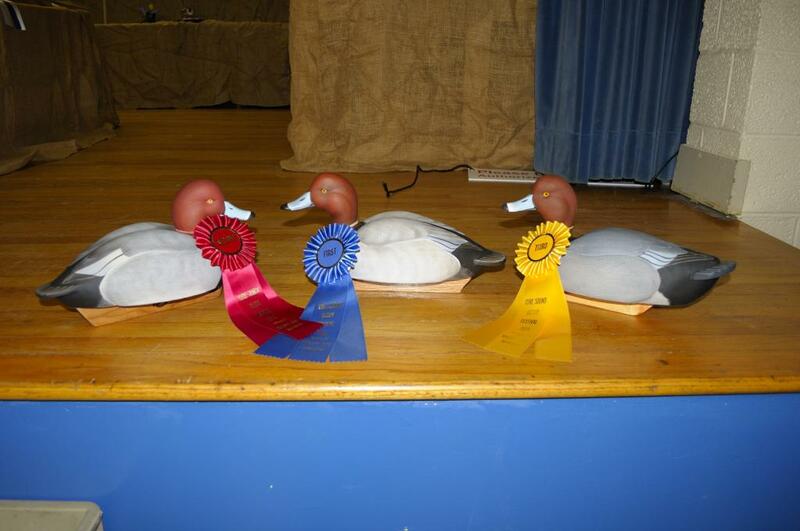 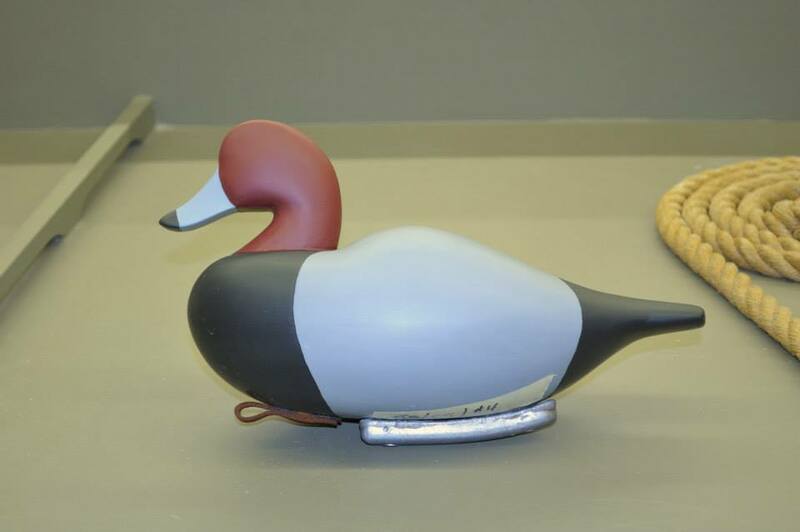 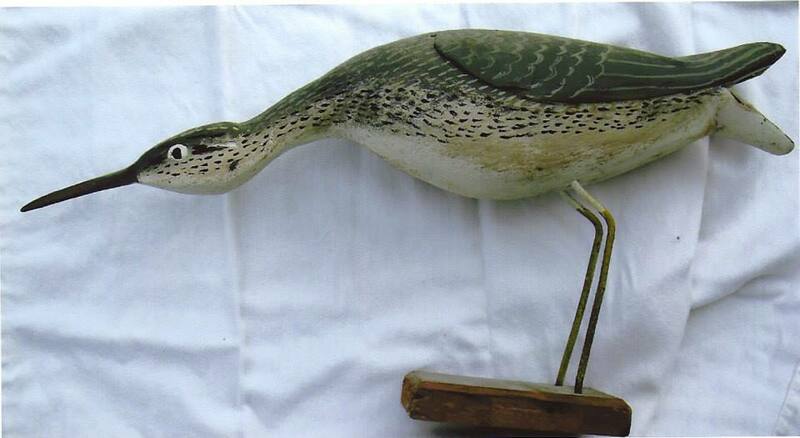 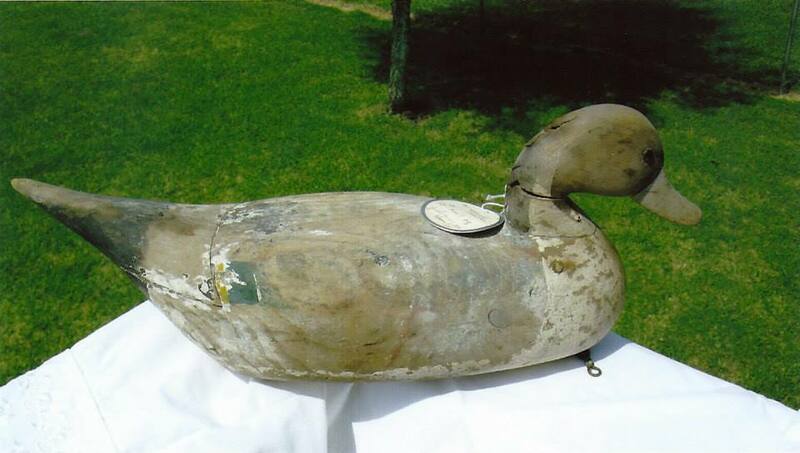 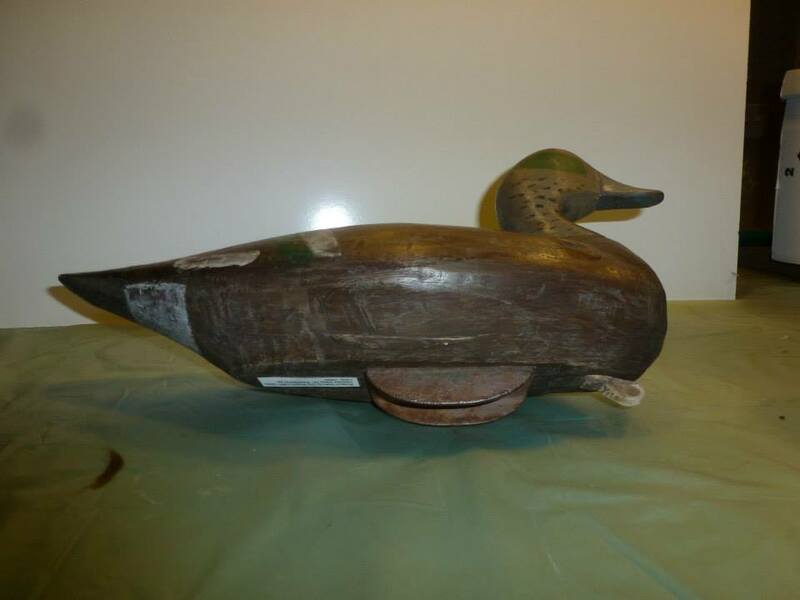 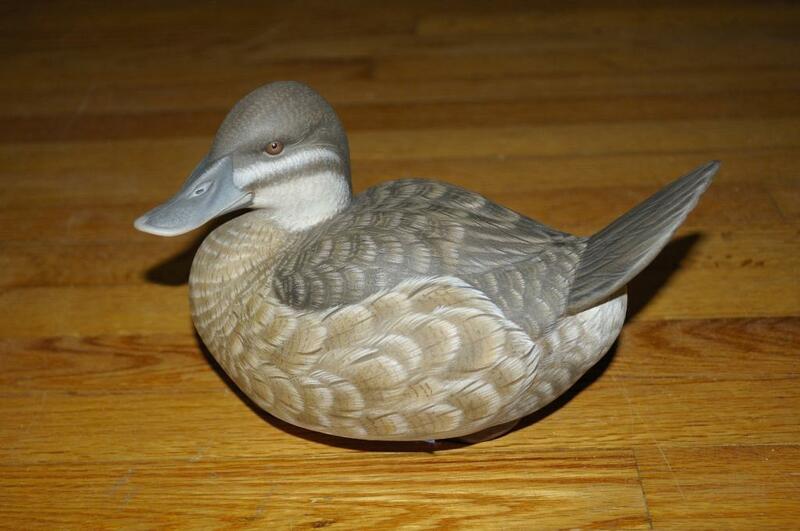 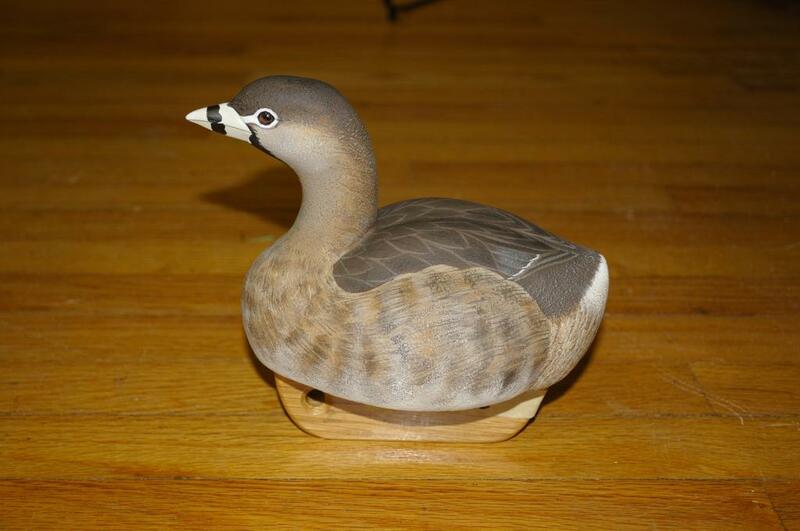 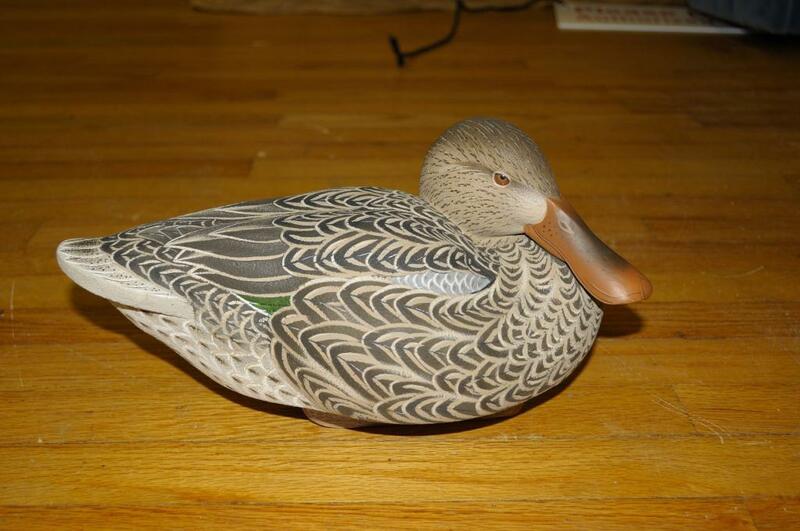 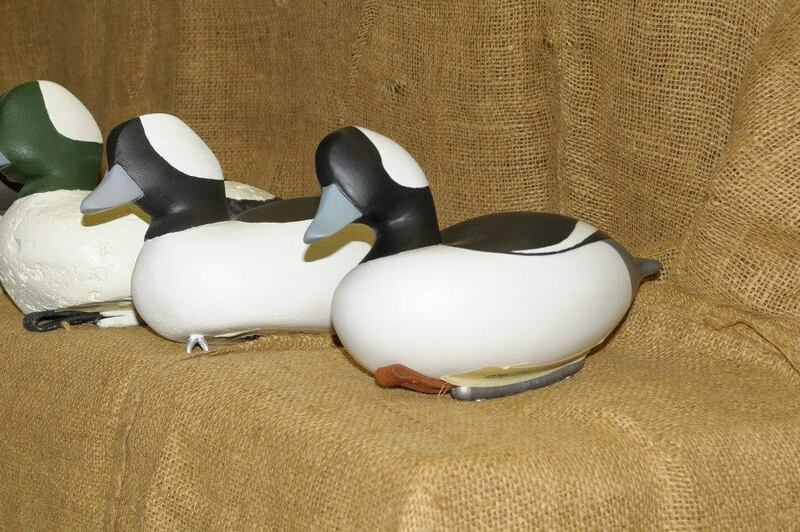 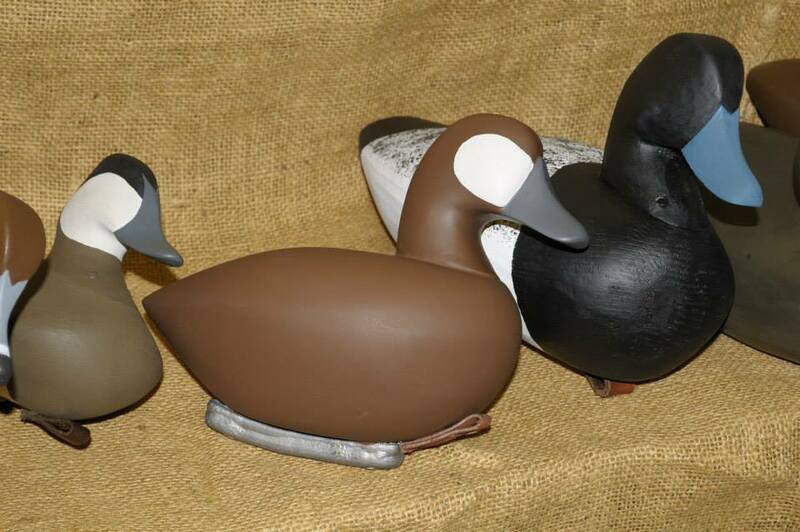 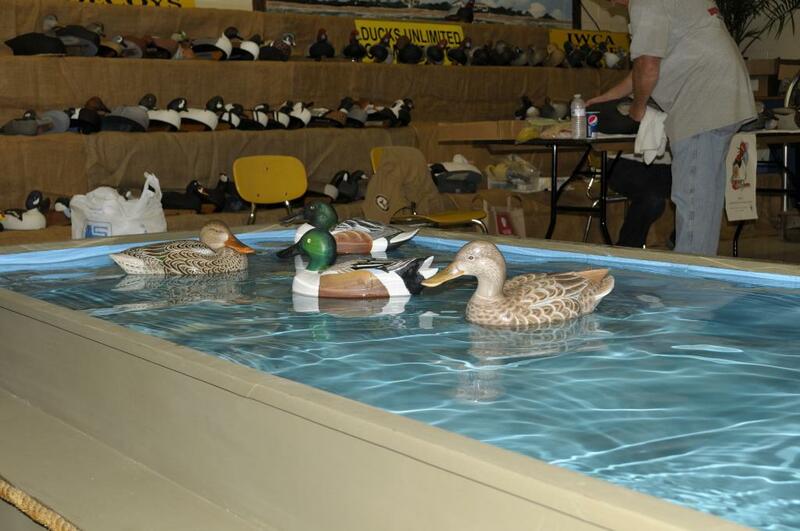 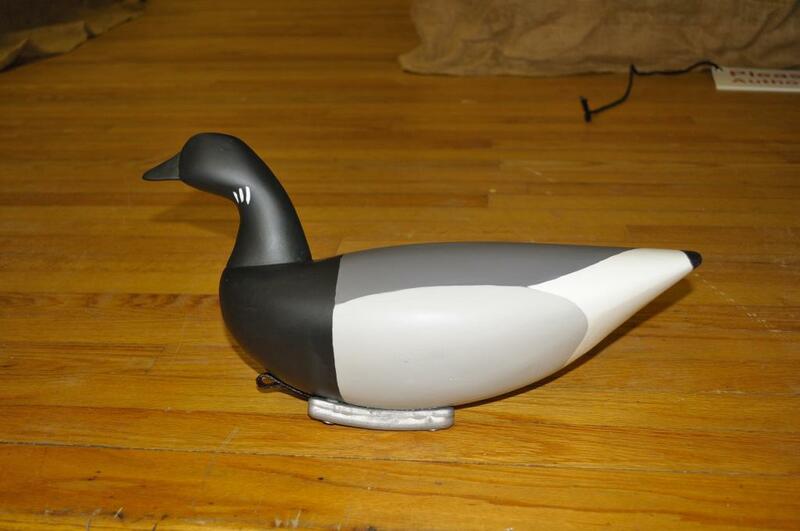 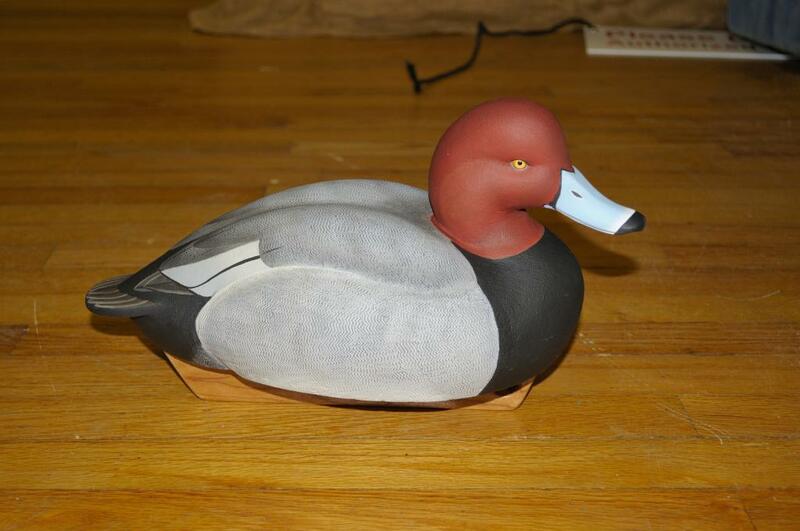 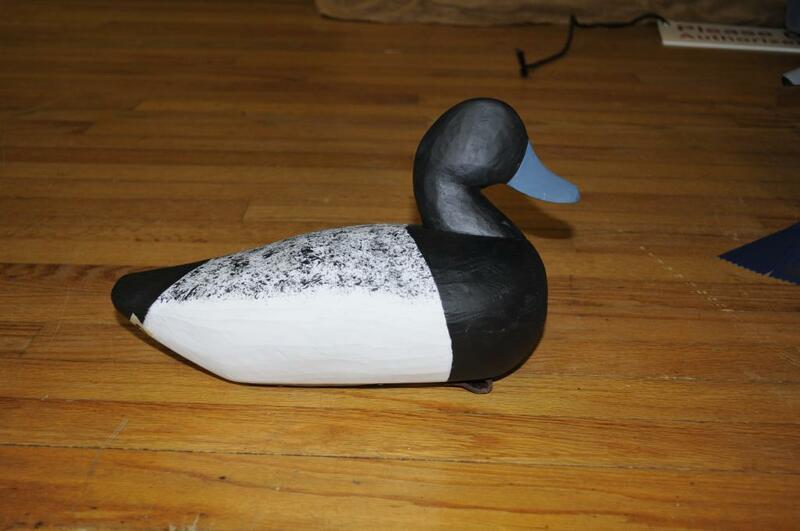 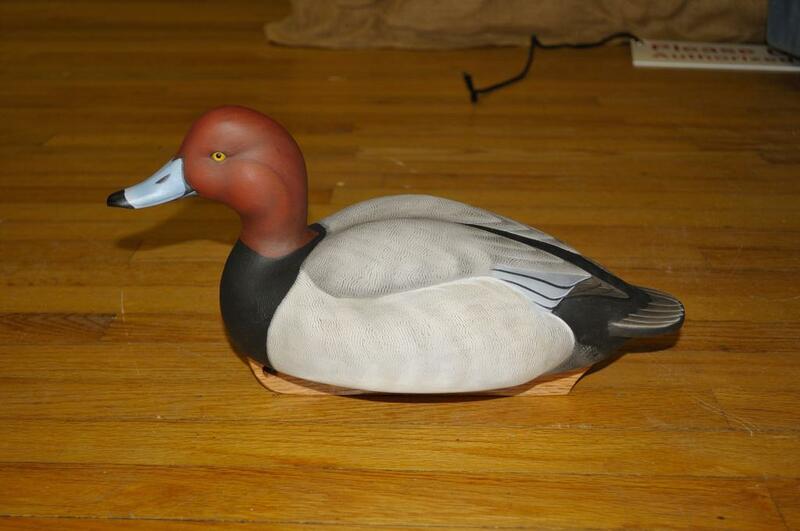 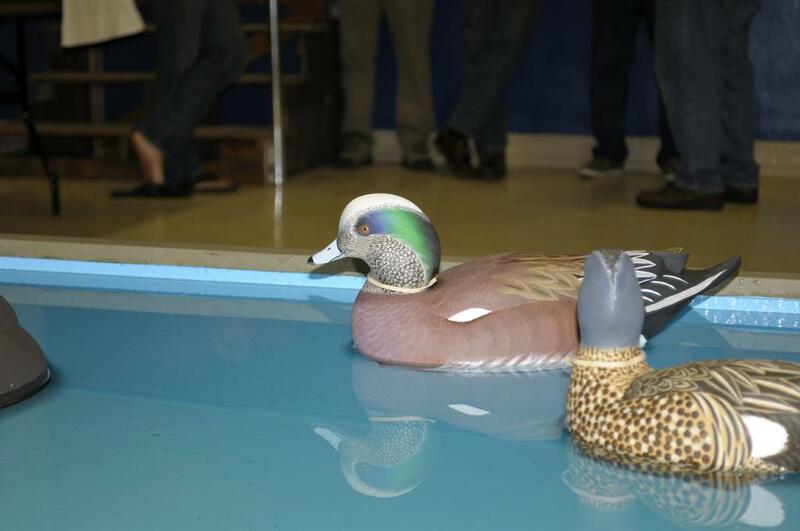 Another great addition to the Core Sound Decoy Festival live auction....Eldon Willis pintail from the 40's. 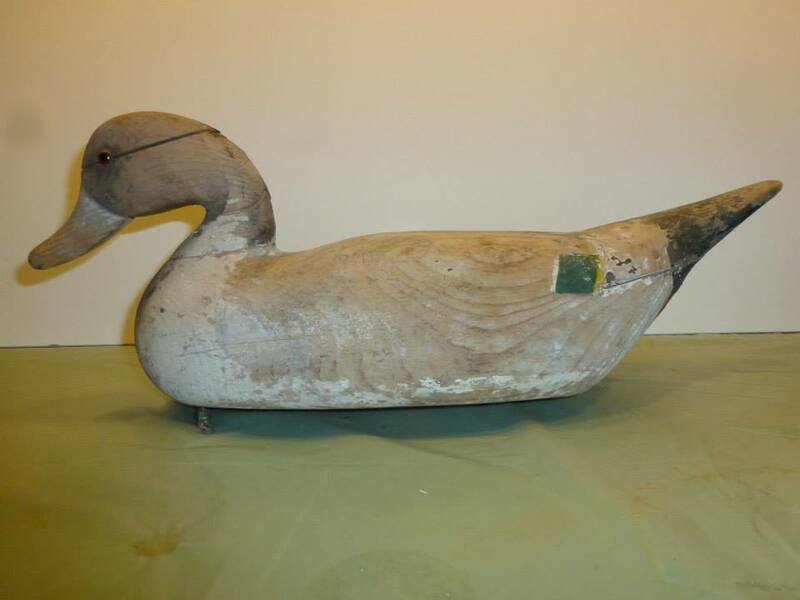 New addition to the Core Sound Decoy Festival live auction....Eldon Willis Canada goose from the 40's. 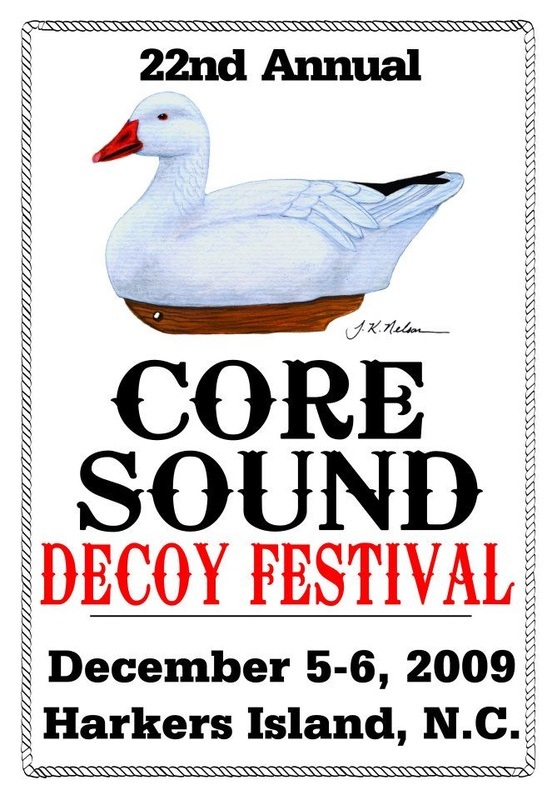 These are posters from this year and some from years past. 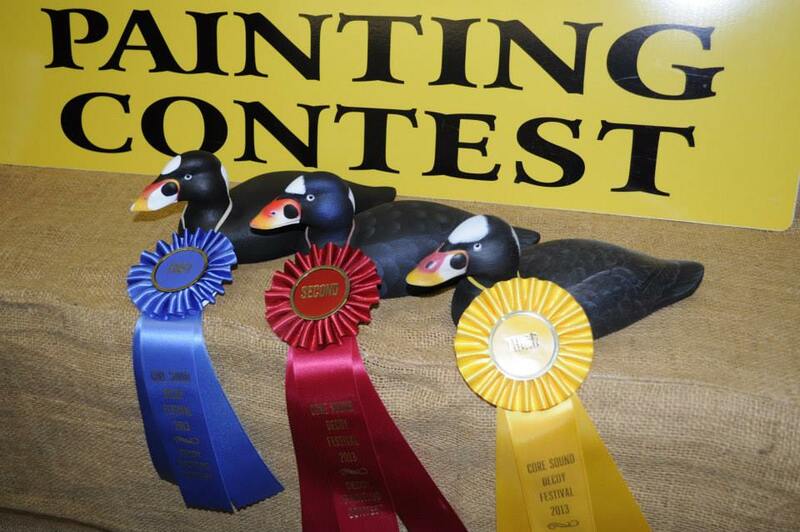 Posters were submitted by James Lewis .Posters 8-9-14 and 15 were submitted by Jim Daniel if anyone has any pictures of the missing ones please send me a picture of them to decoys@viscom.net to see if the whole set can be displayed. 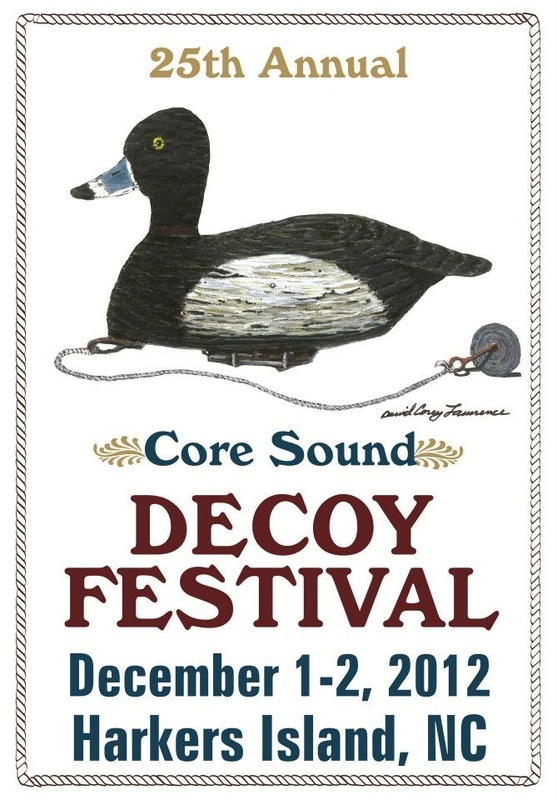 11th Annual Core Sound Decoy Festival Poster — with Corey N Ashley Lawrence. 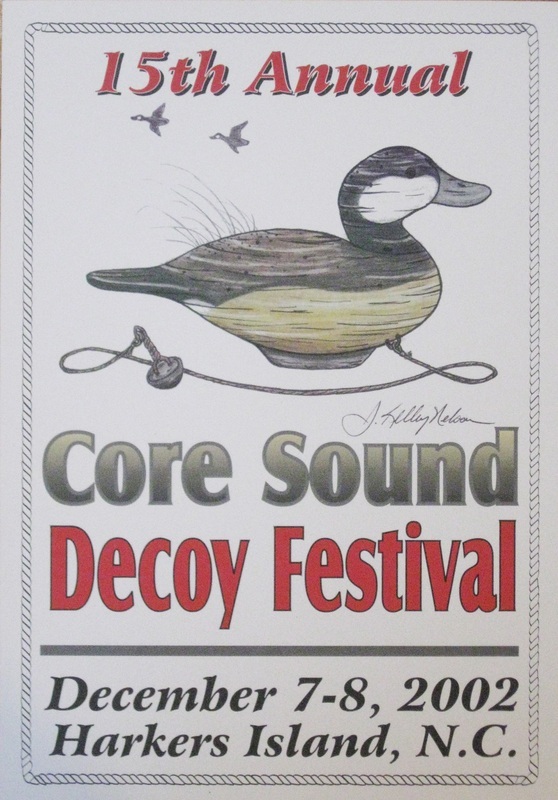 16th Annual Core Sound Decoy Festival Poster — with Jack Kelley Nelson. 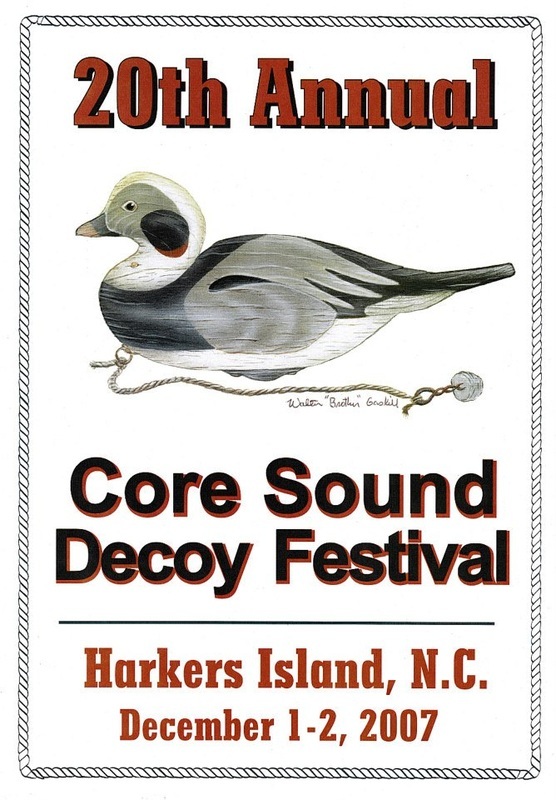 17th Annual Core Sound Decoy Festival Poster — with James Lewis. 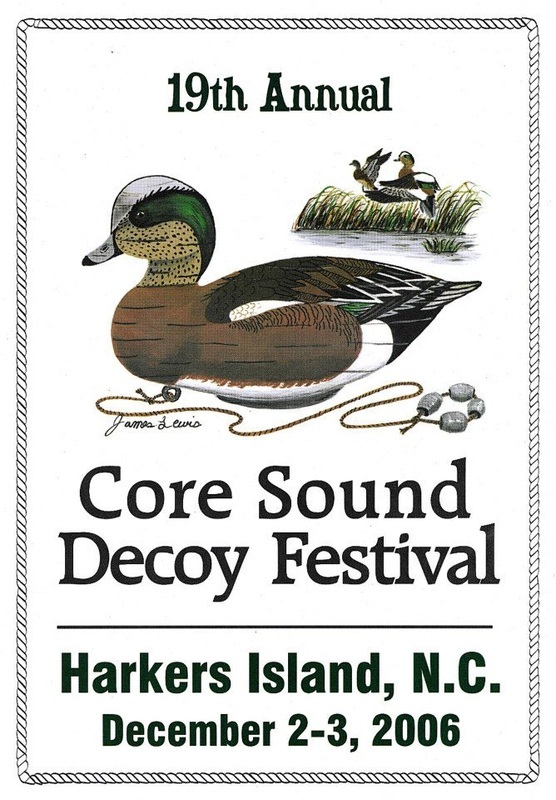 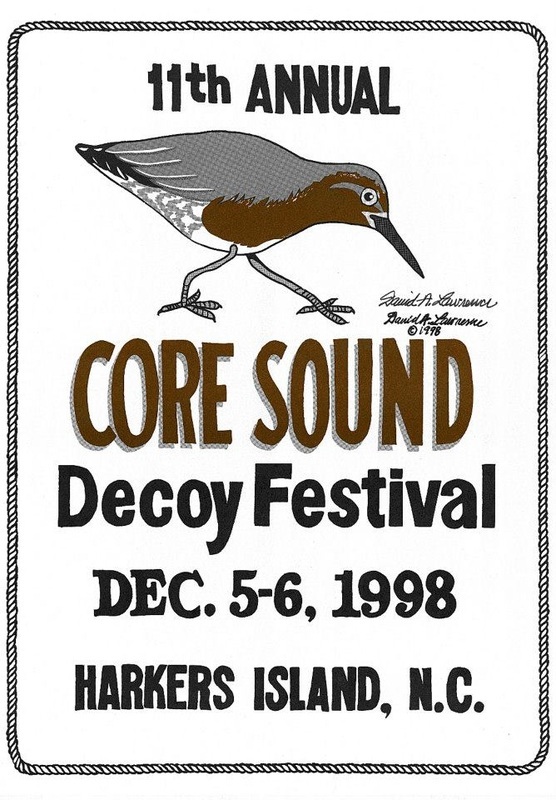 19th Annual Core Sound Decoy Festival Poster — with James Lewis. 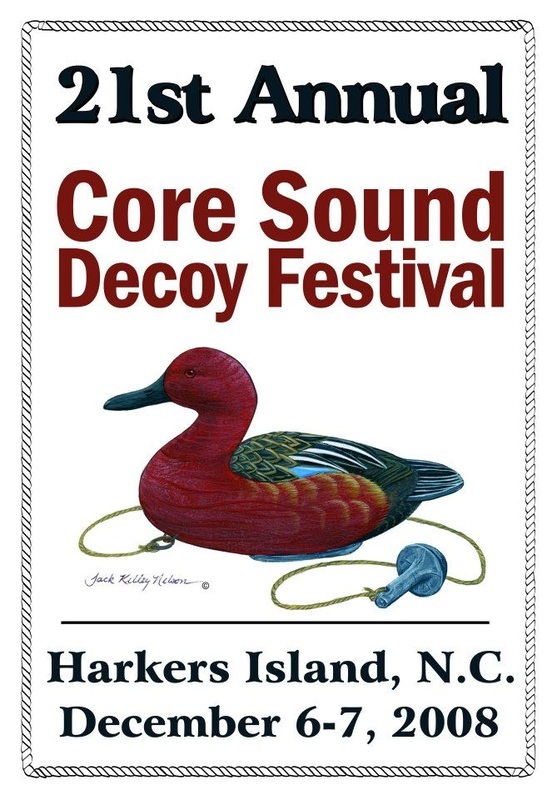 20th Annual Core Sound Decoy Festival Poster — with Walter Gaskill. 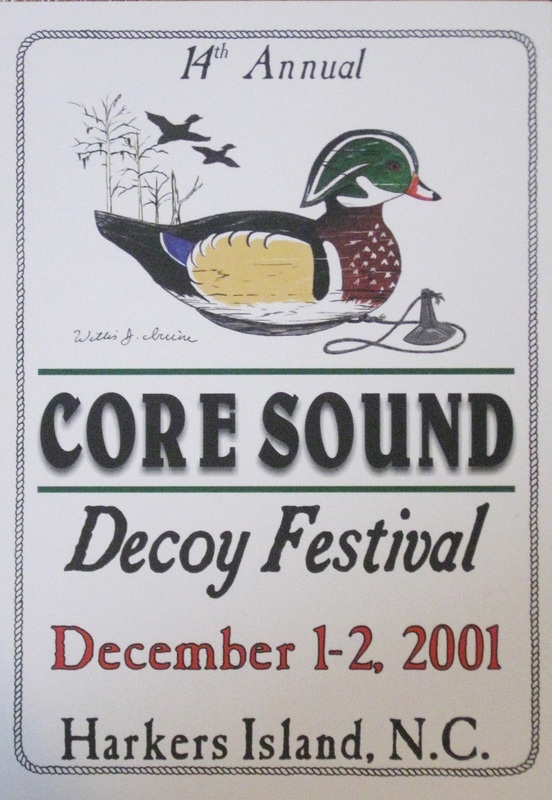 21st Annual Core Sound Decoy Festival Poster — with Jack Kelley Nelson. 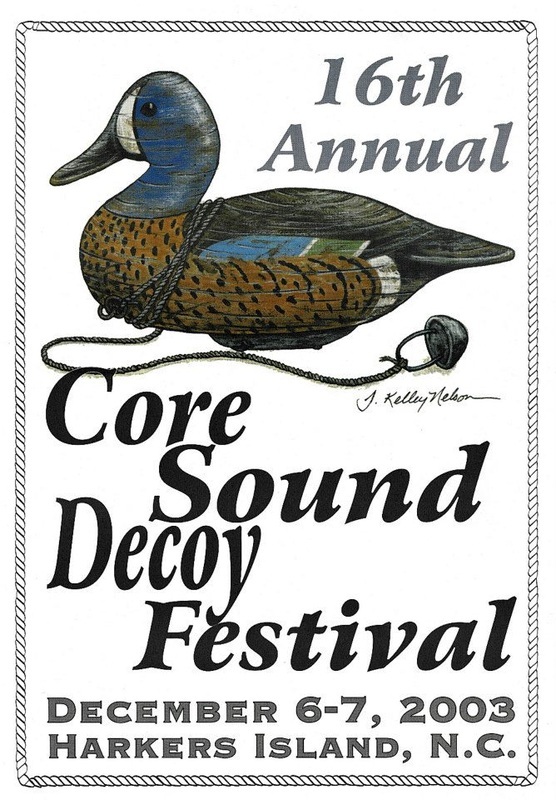 22nd Annual Core Sound Decoy Festival Poster — with Jack Kelley Nelson. 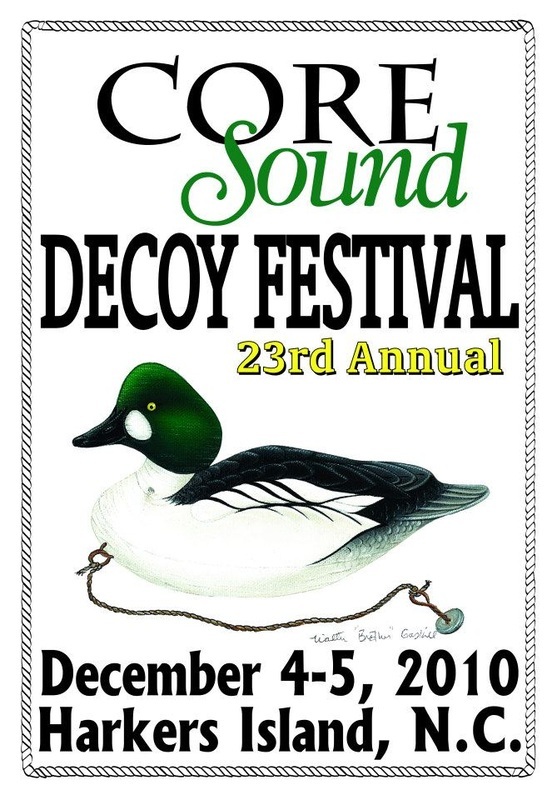 23rd Annual Core Sound Decoy Festival Poster — with Walter Gaskill. 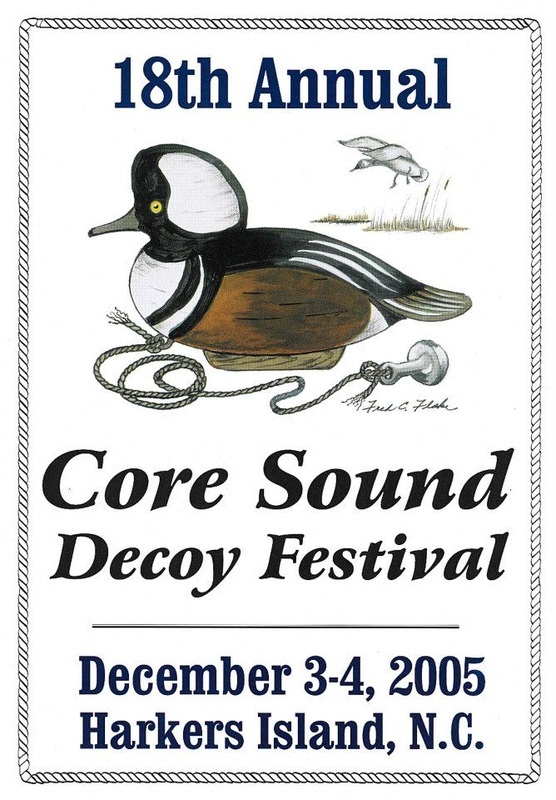 24th Annual Core Sound Decoy Festival Poster — with Walter Gaskill. 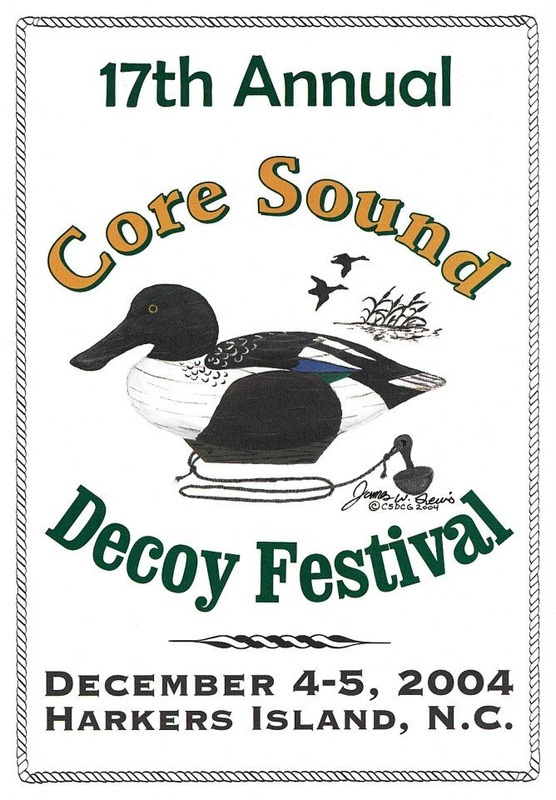 25th Annual Core Sound Decoy Festival poster — with Corey N Ashley Lawrence. 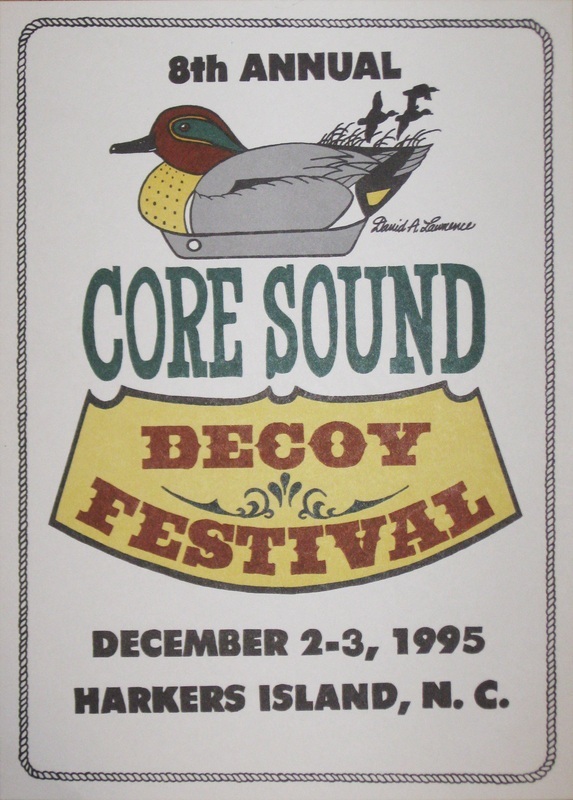 26th Annual Core Sound Decoy Festival Poster — with Walter Gaskill.